The Battle in Brewster was the brainchild of Michael Piccirillo, who is the father of one our Sled Ranger Ath- letes, Ryan. 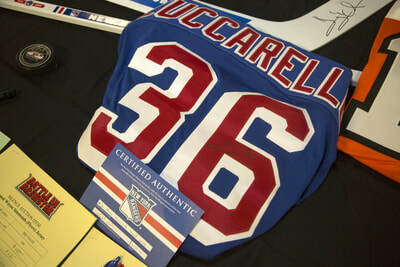 Ryan’s 8-year old younger brother plays for the Westchester Express Mites out of the Brewster, NY ice arena. 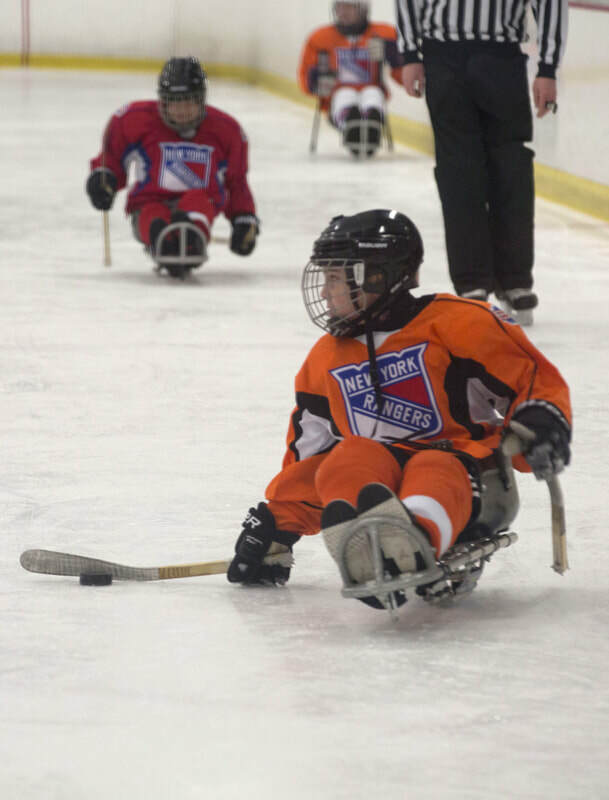 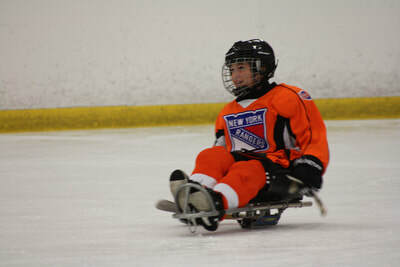 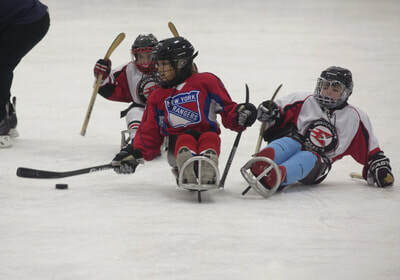 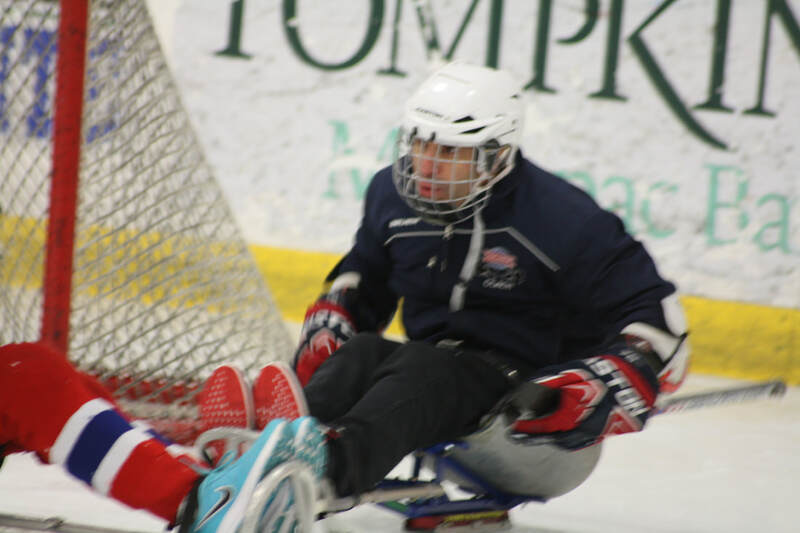 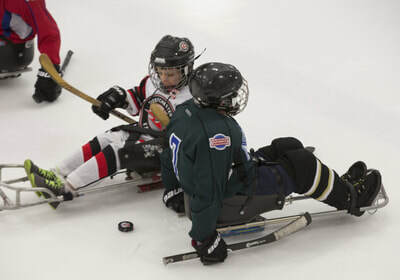 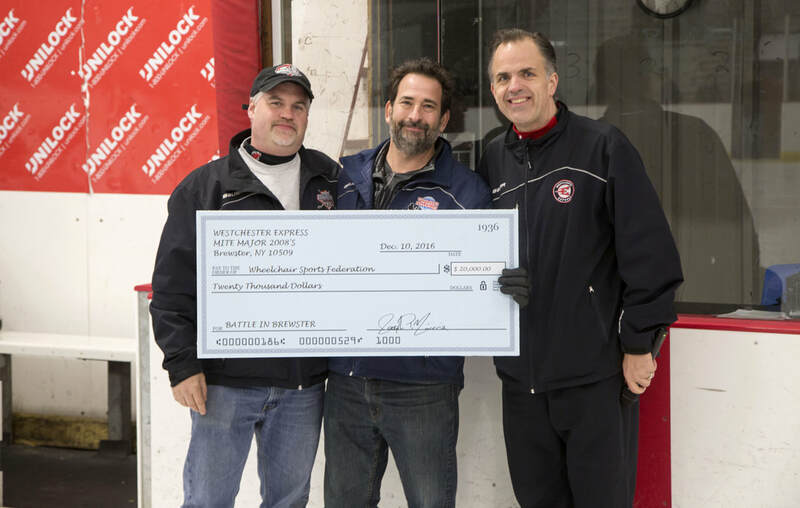 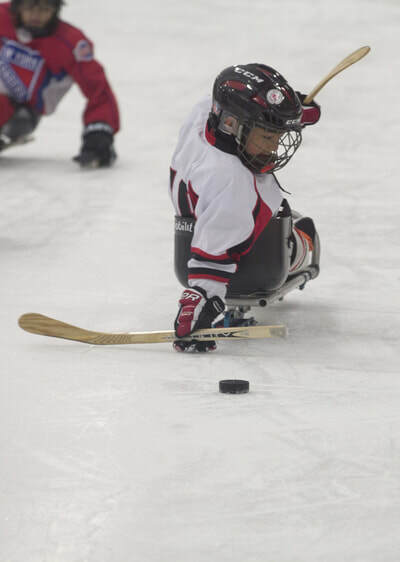 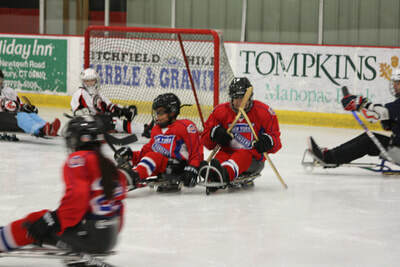 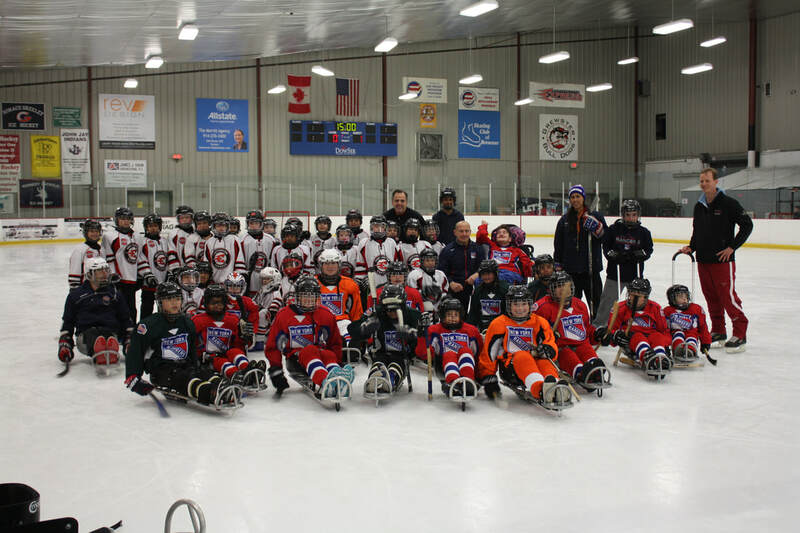 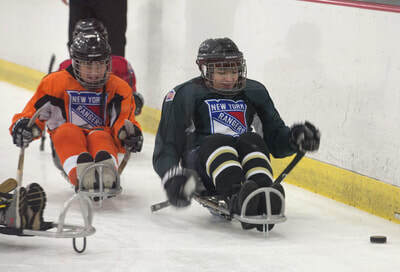 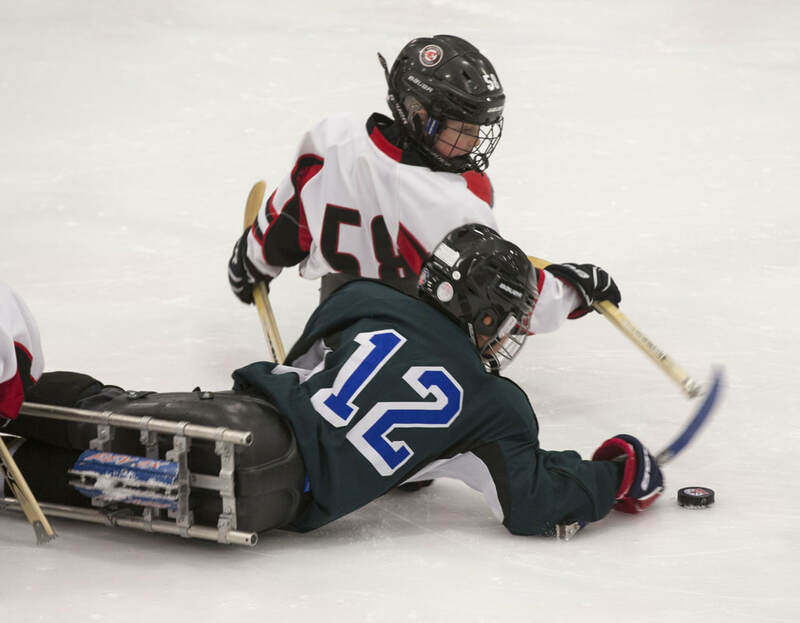 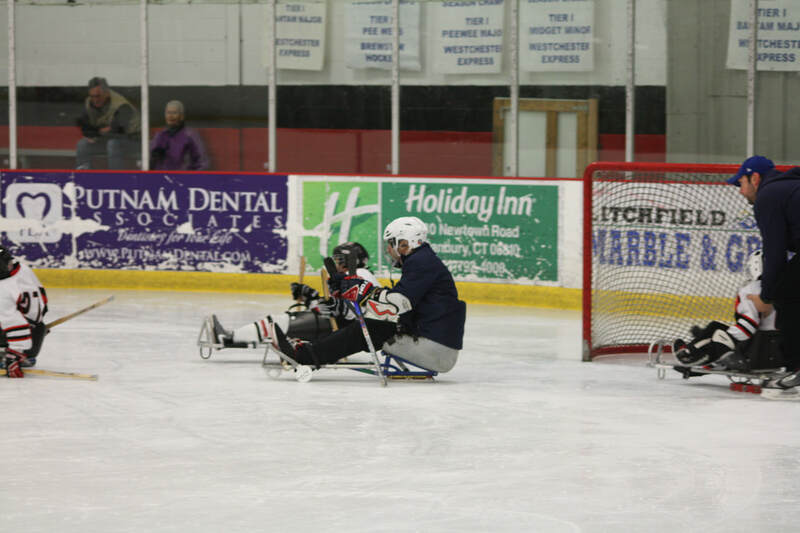 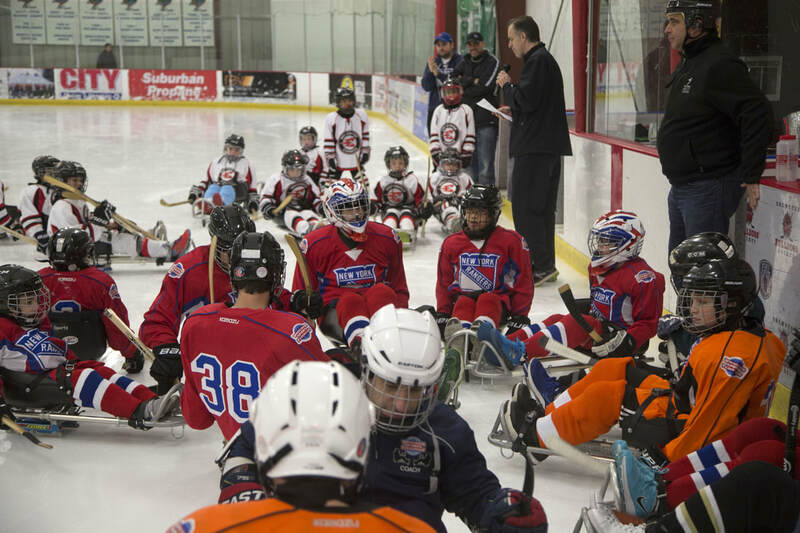 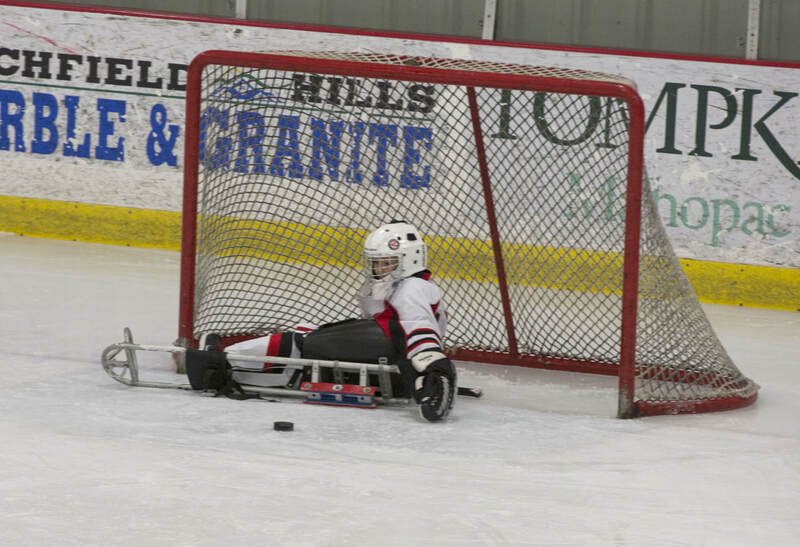 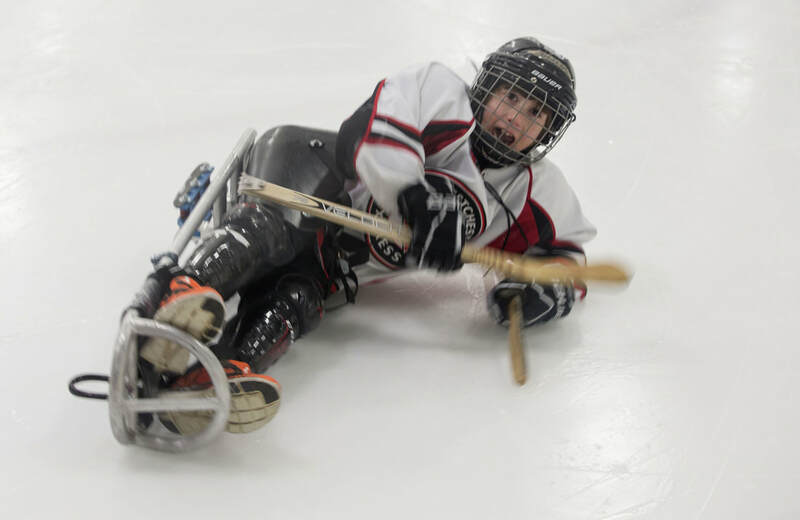 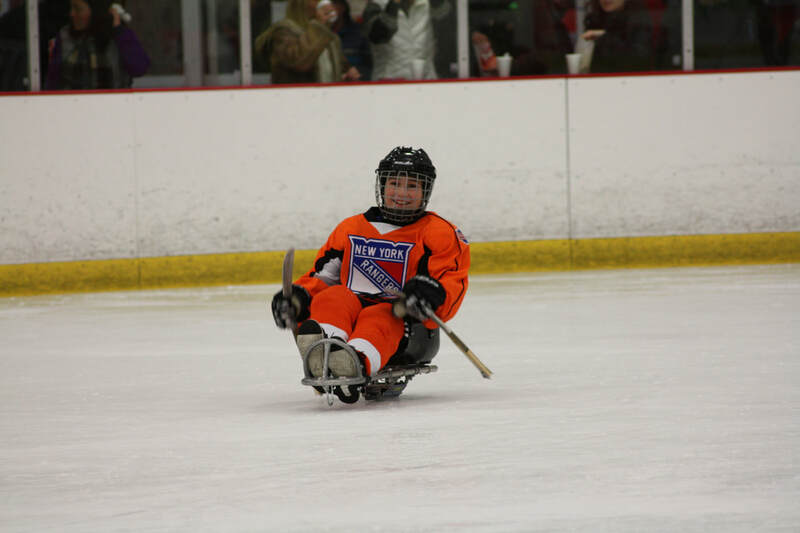 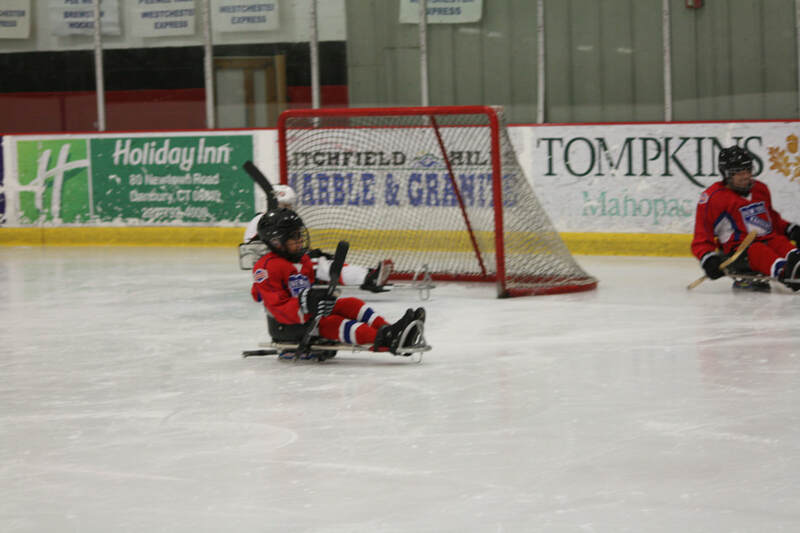 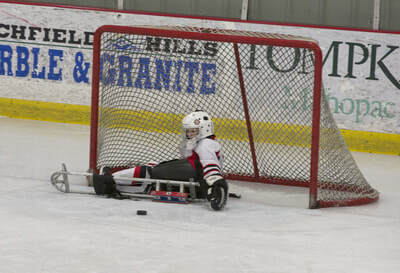 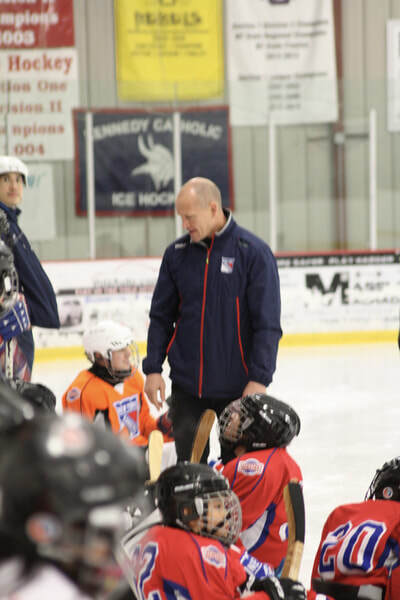 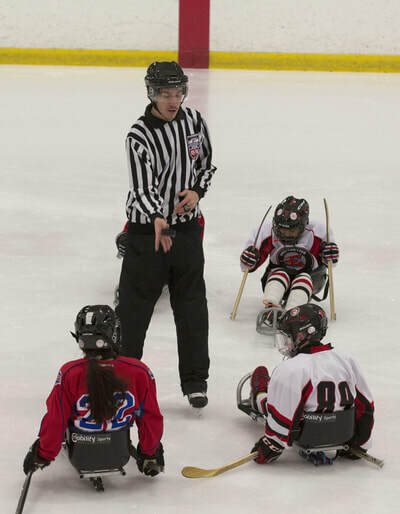 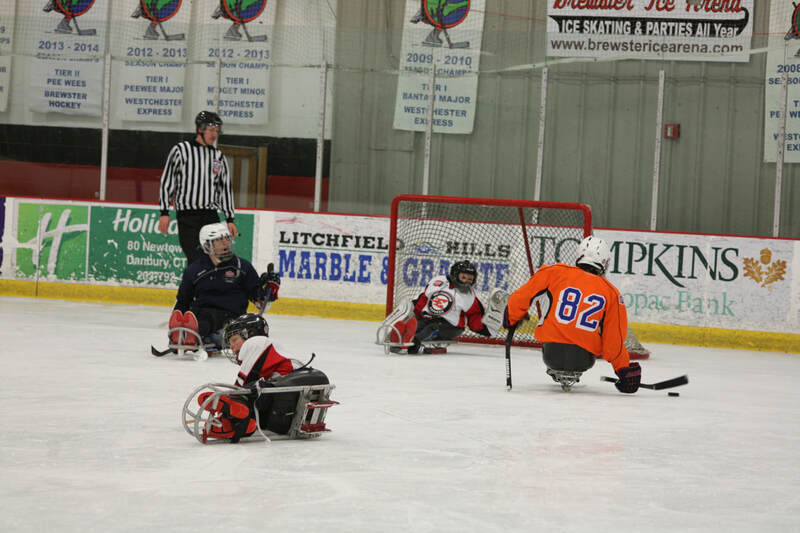 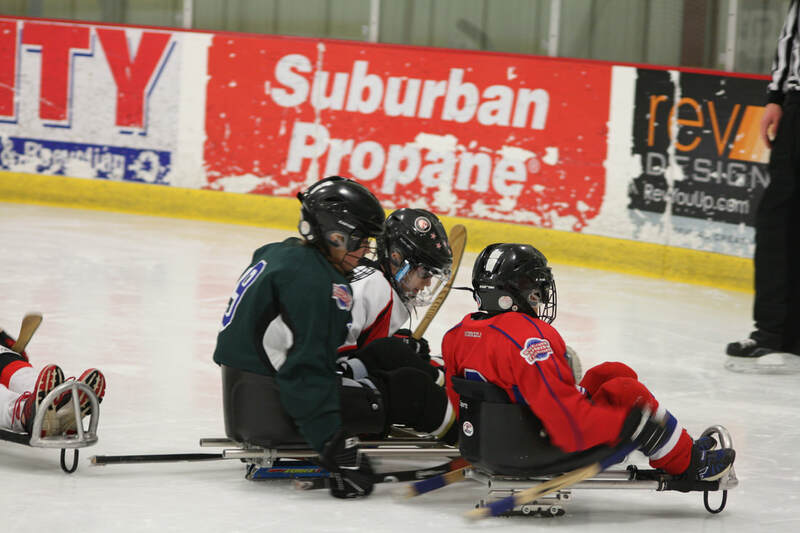 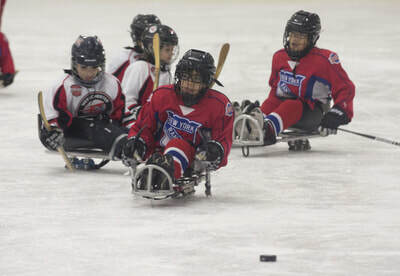 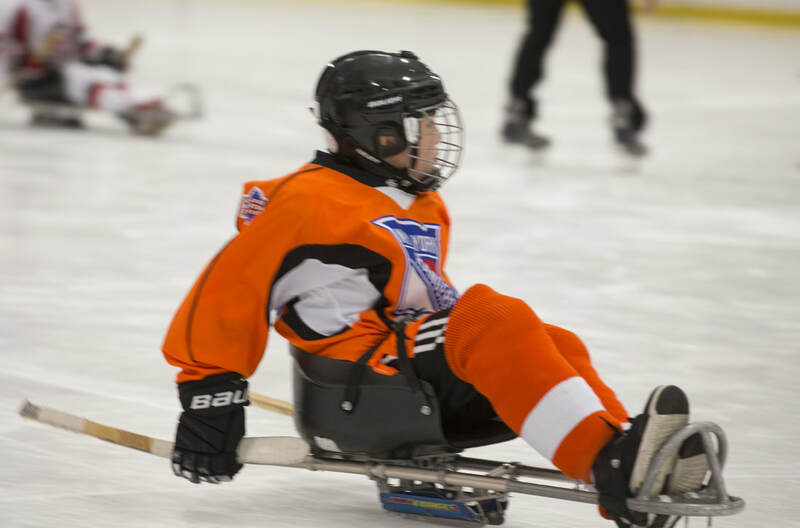 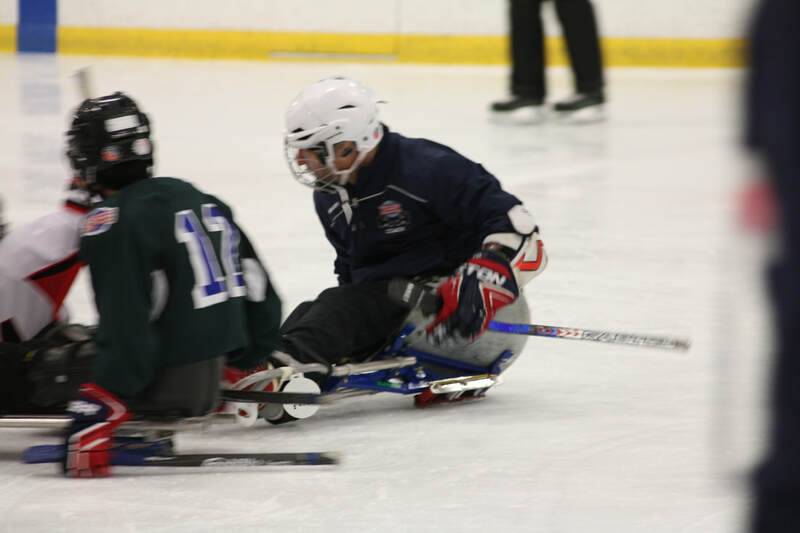 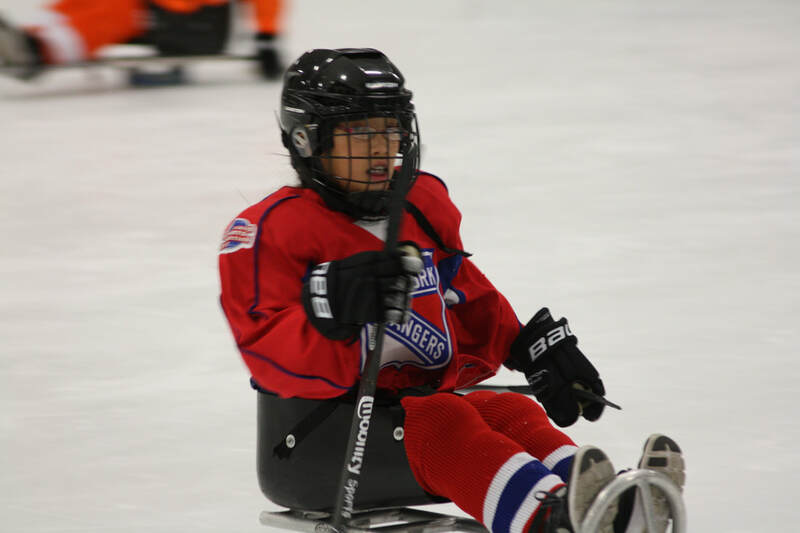 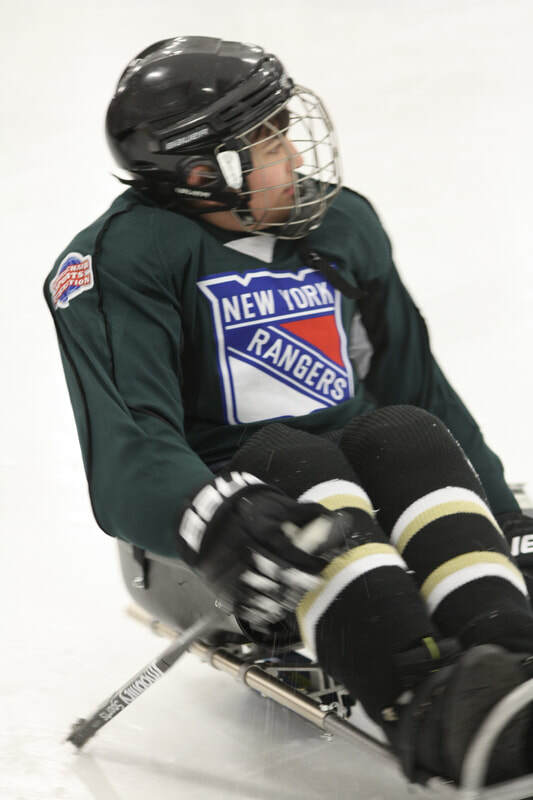 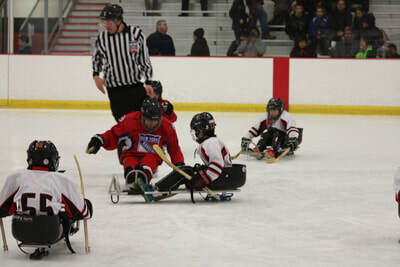 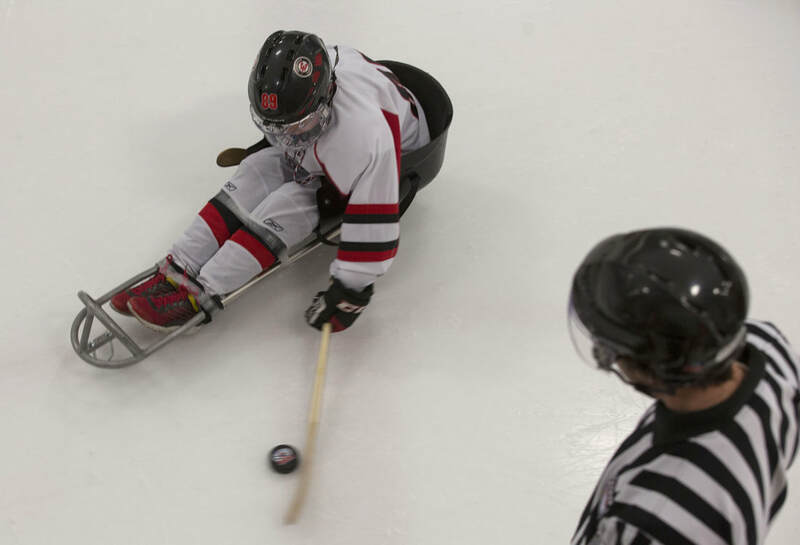 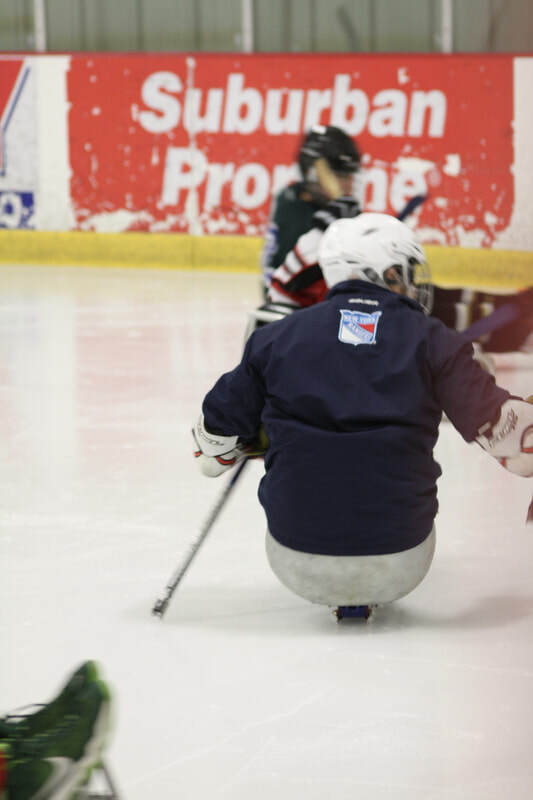 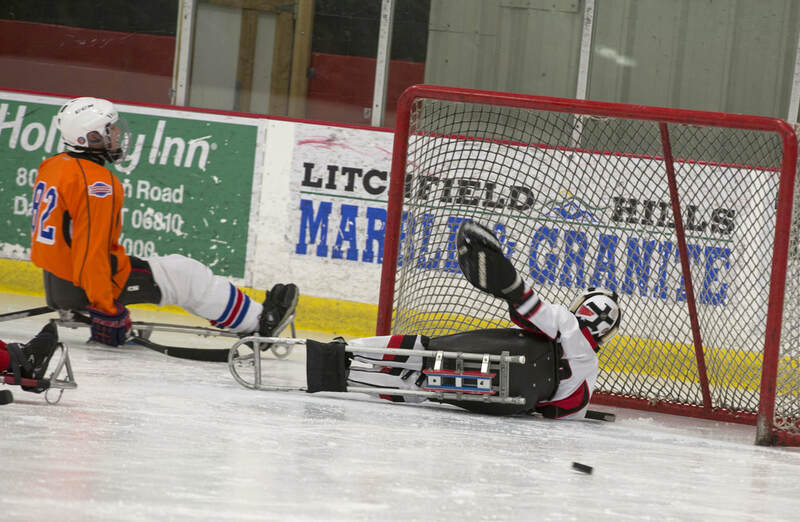 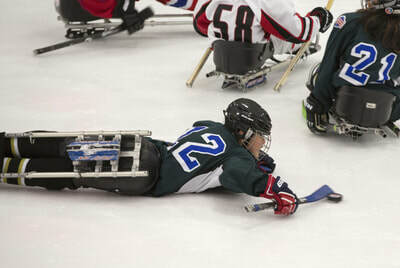 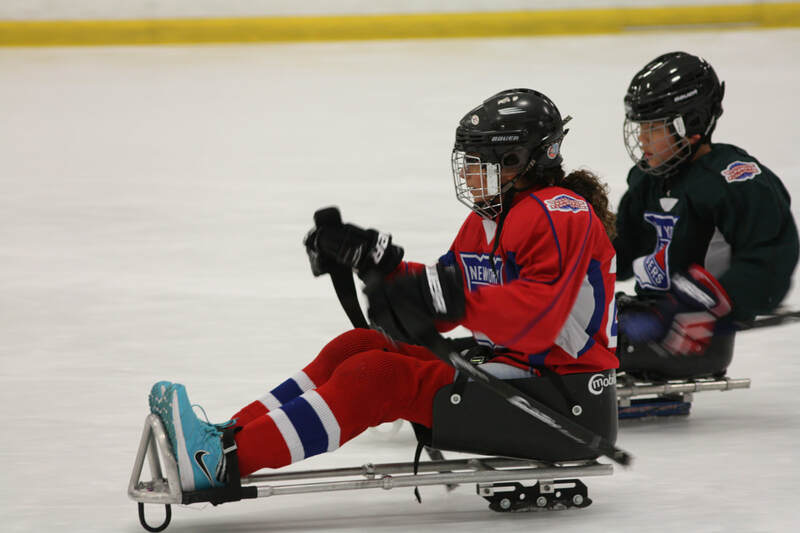 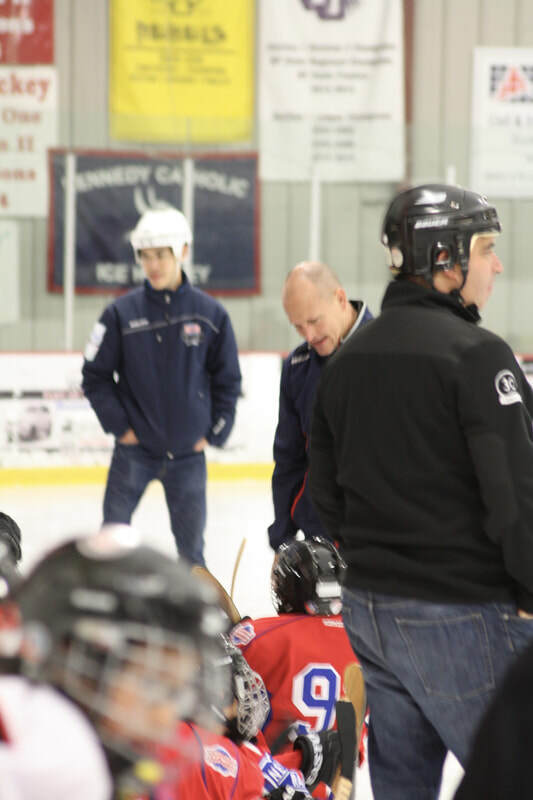 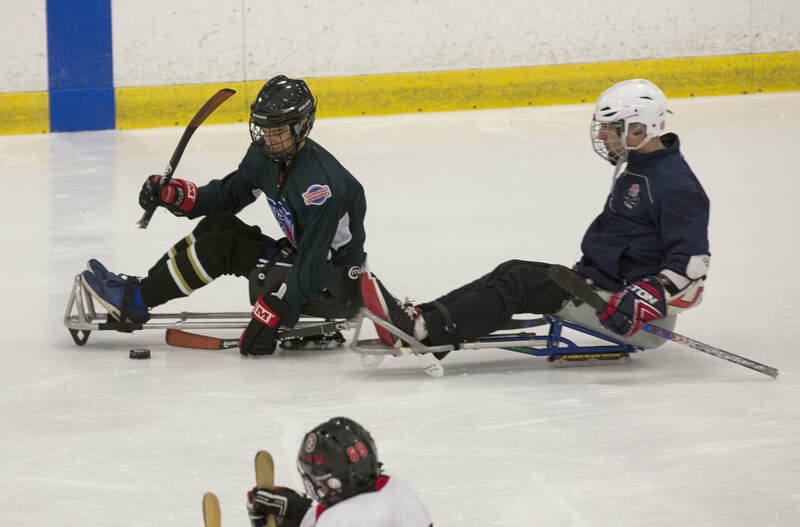 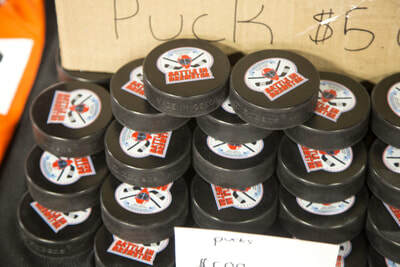 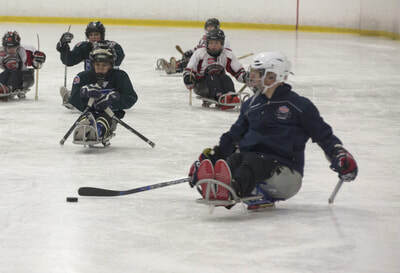 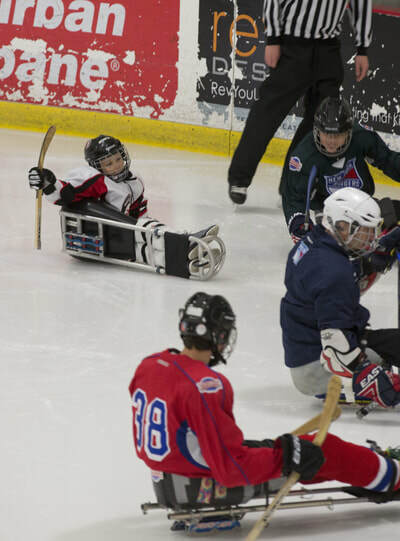 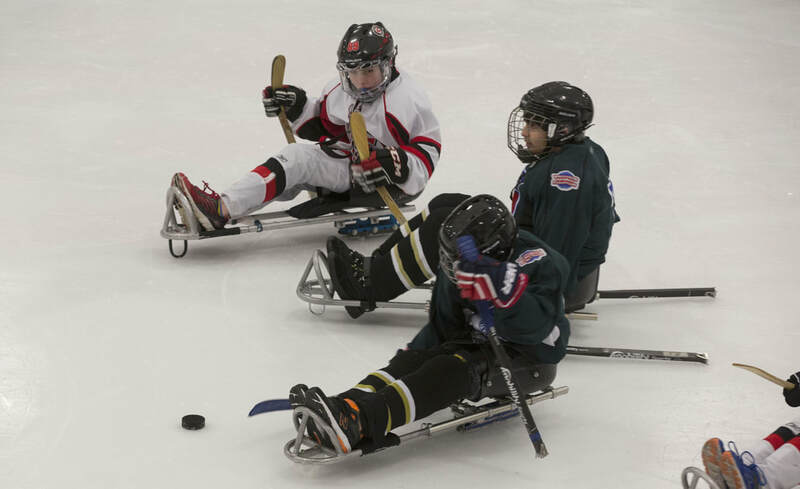 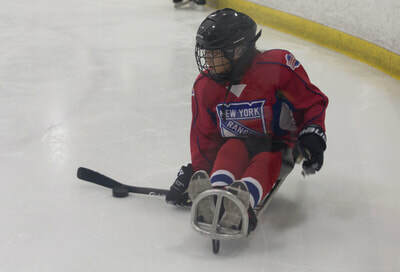 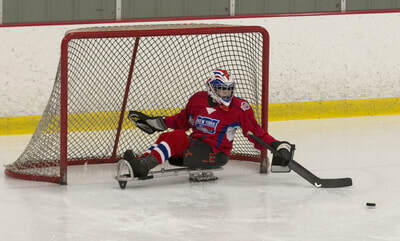 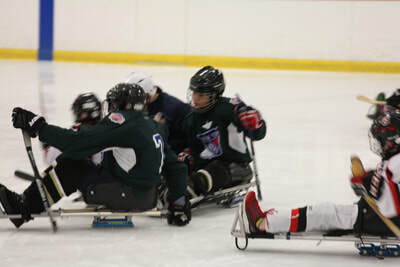 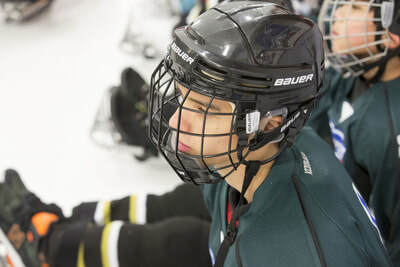 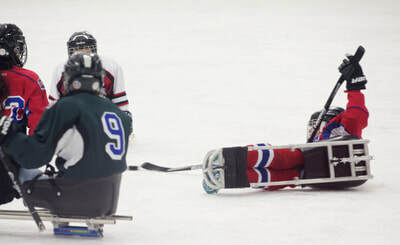 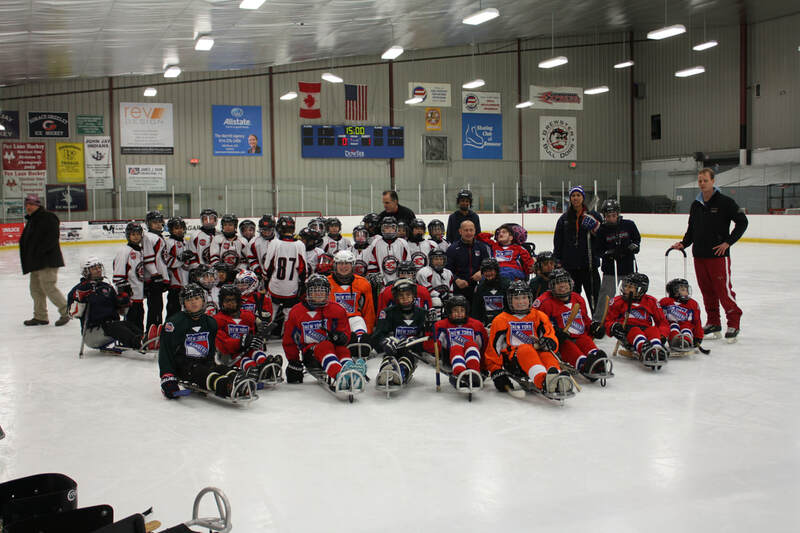 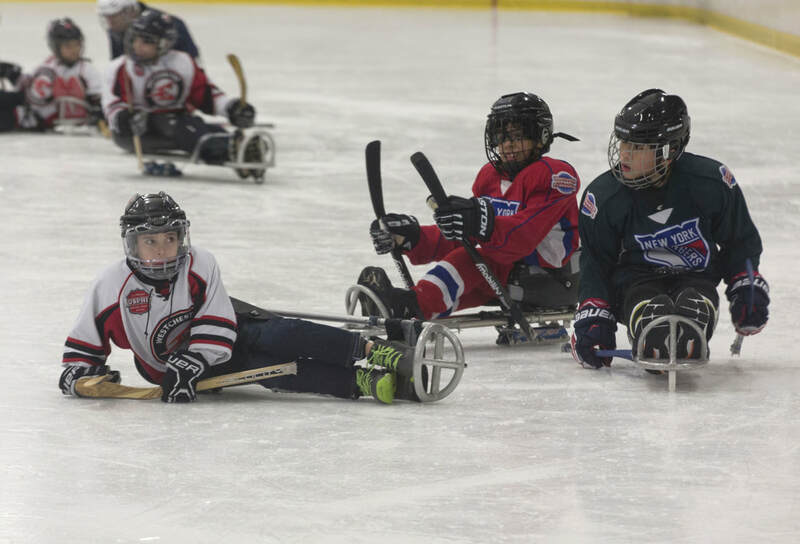 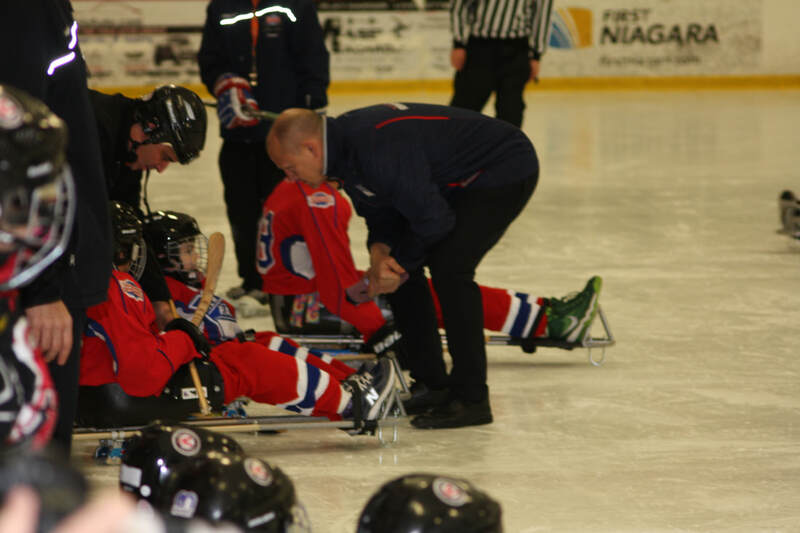 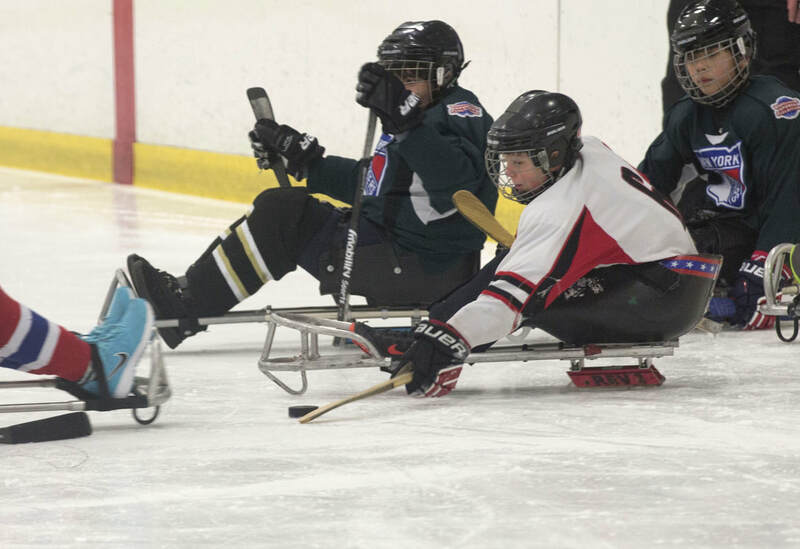 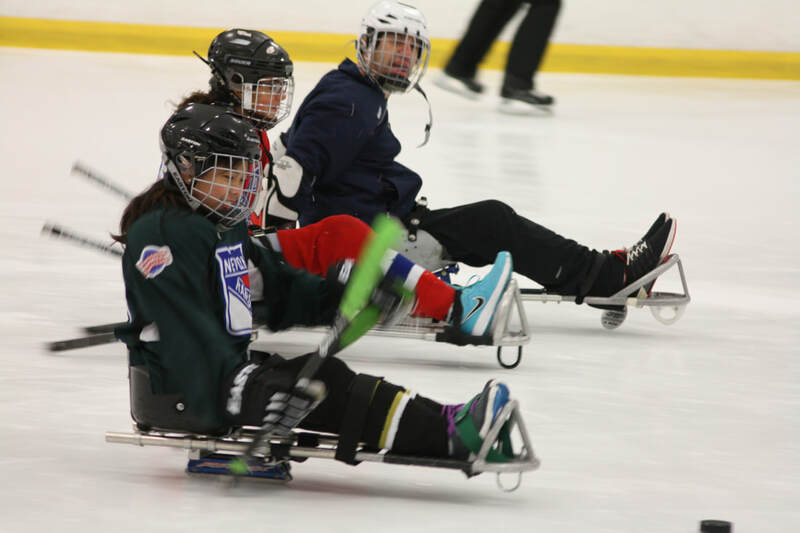 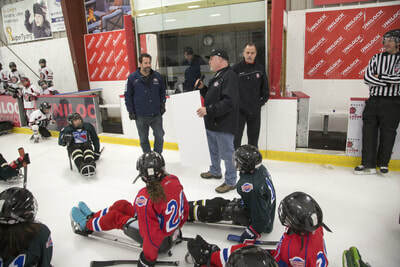 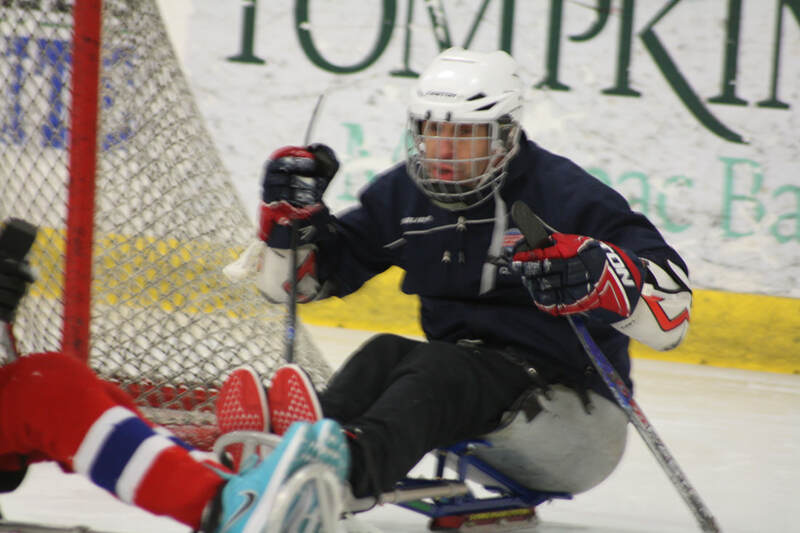 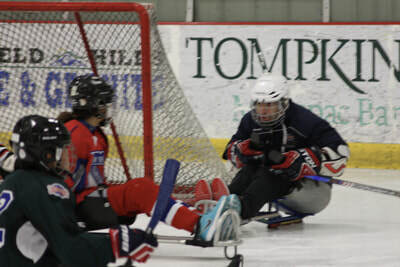 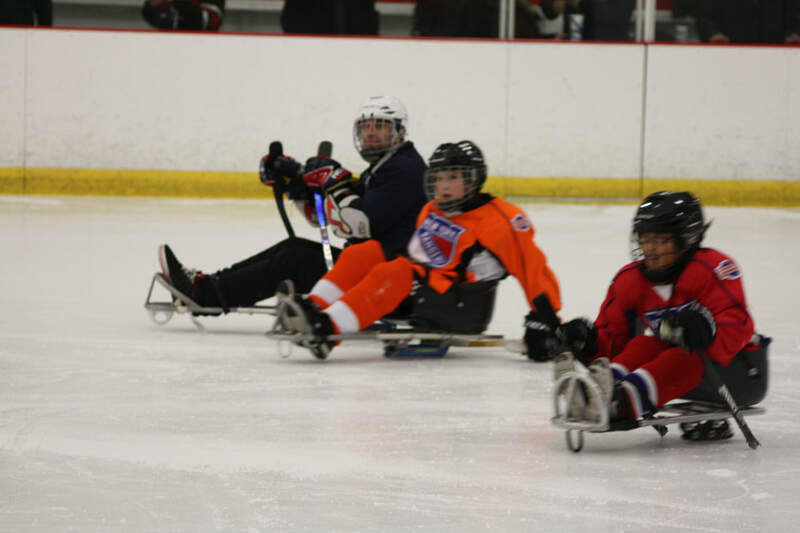 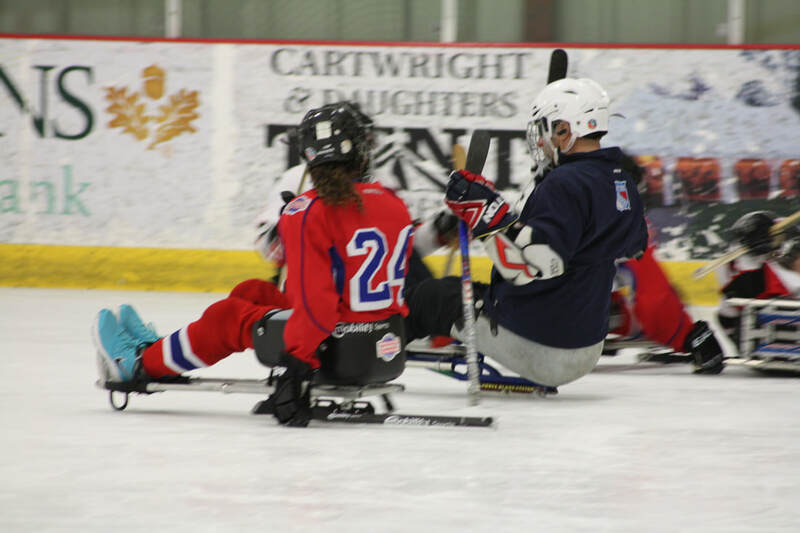 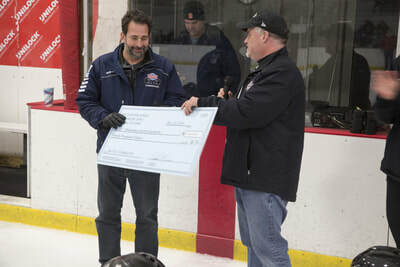 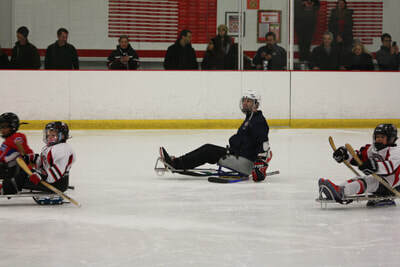 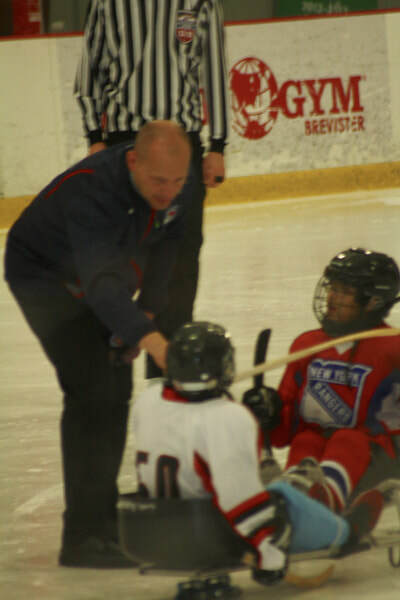 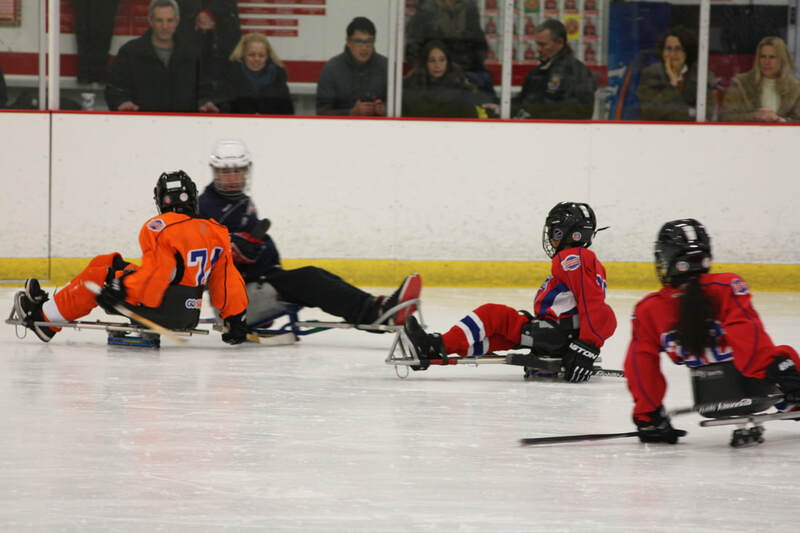 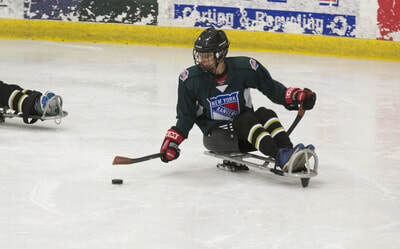 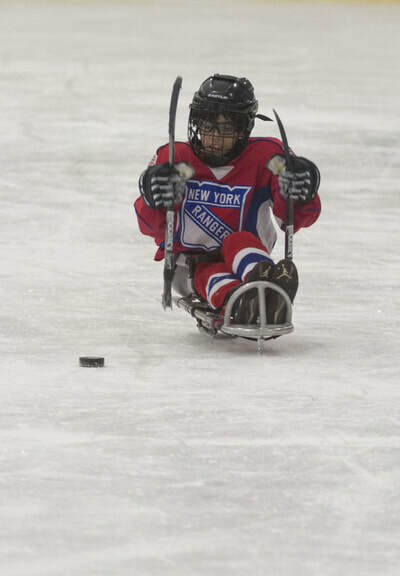 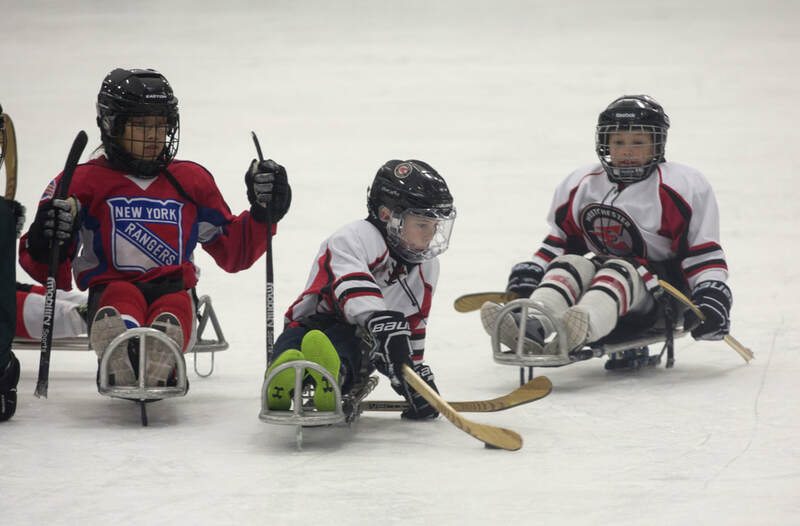 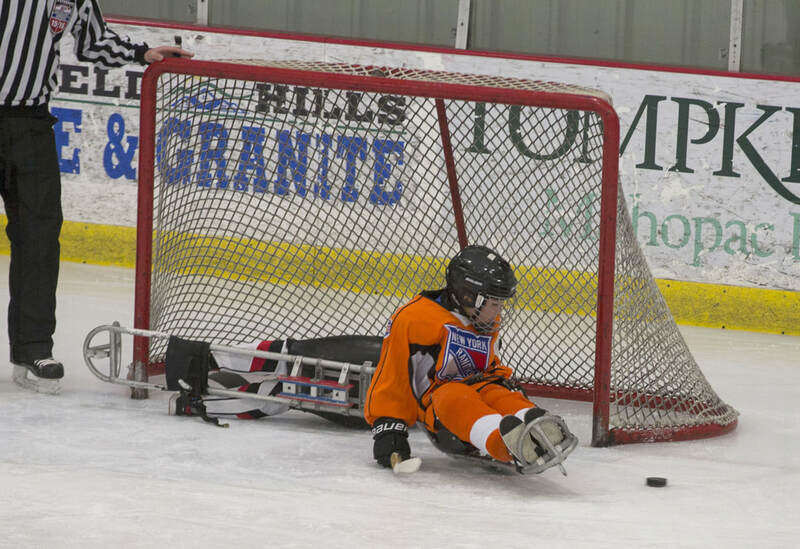 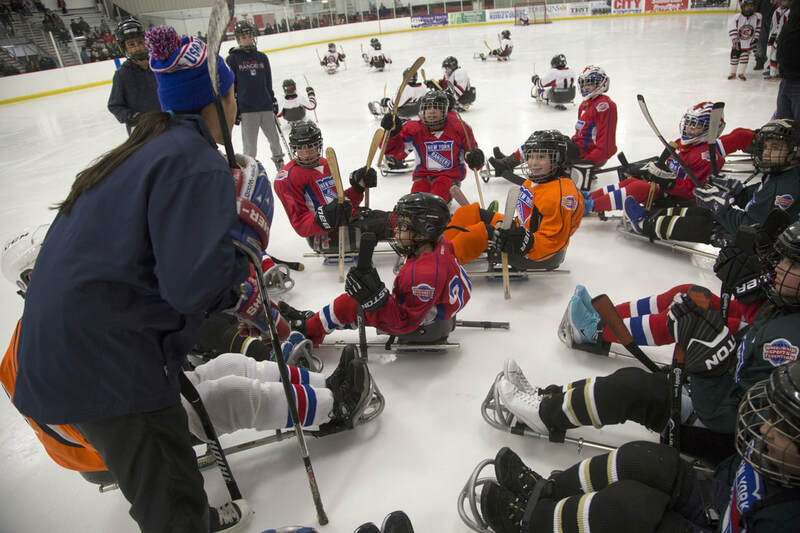 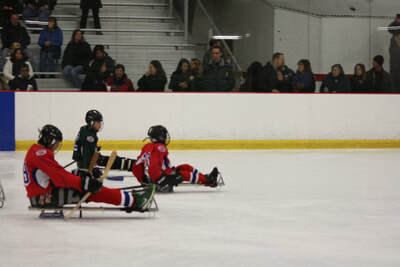 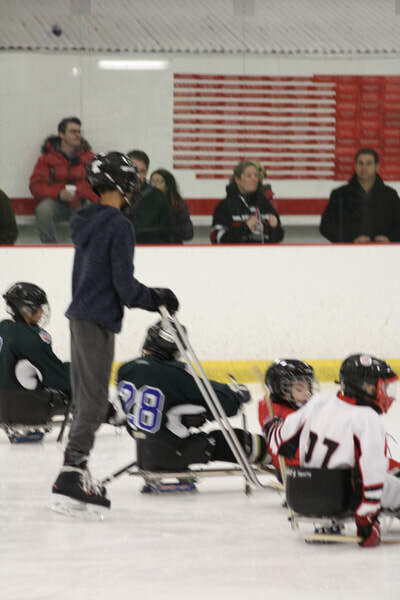 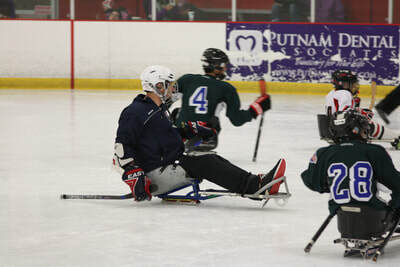 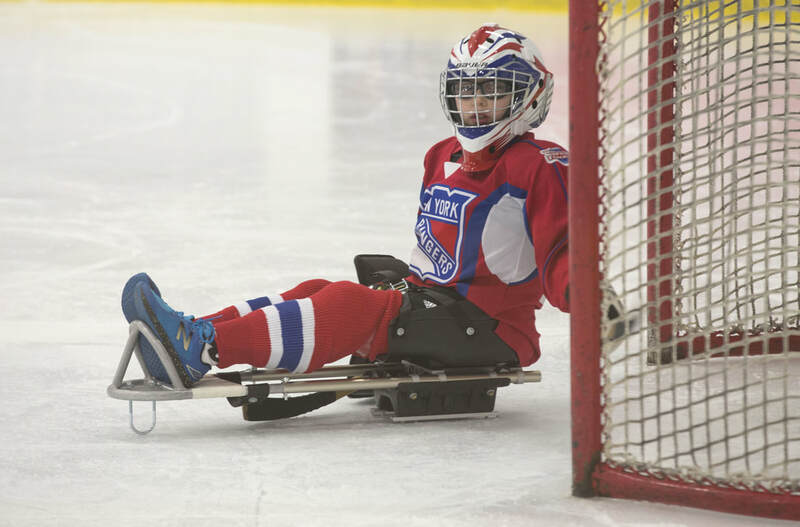 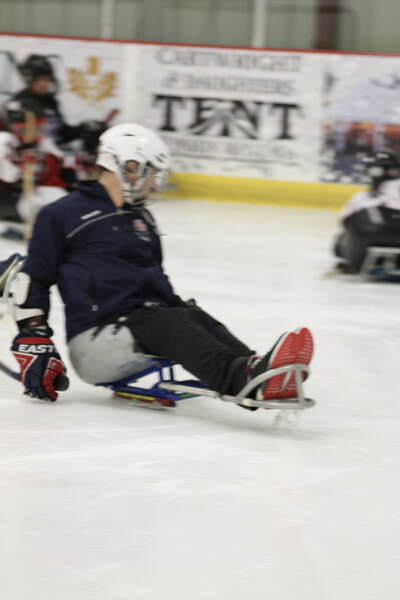 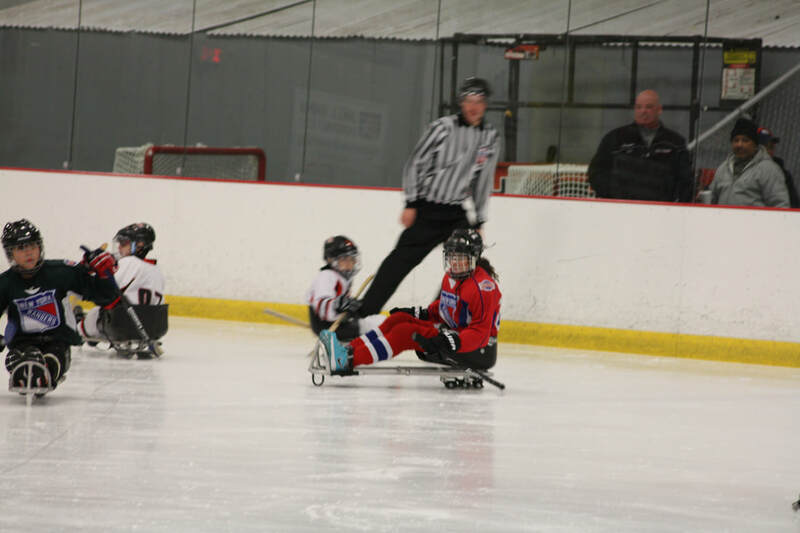 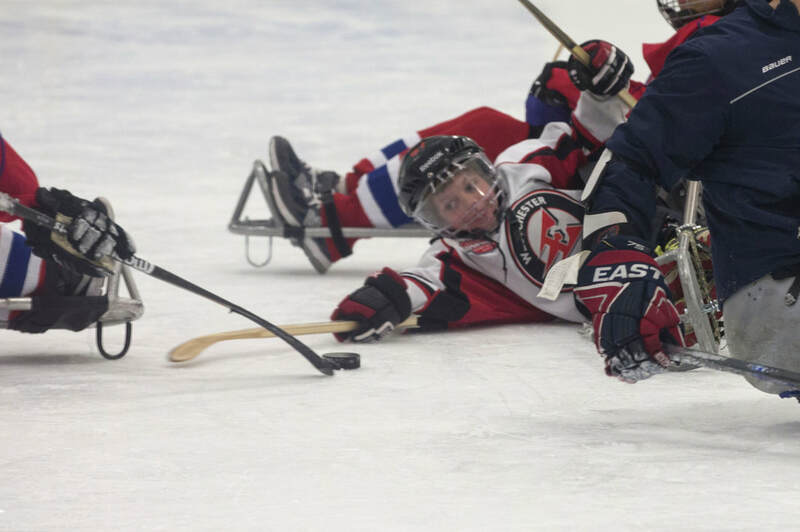 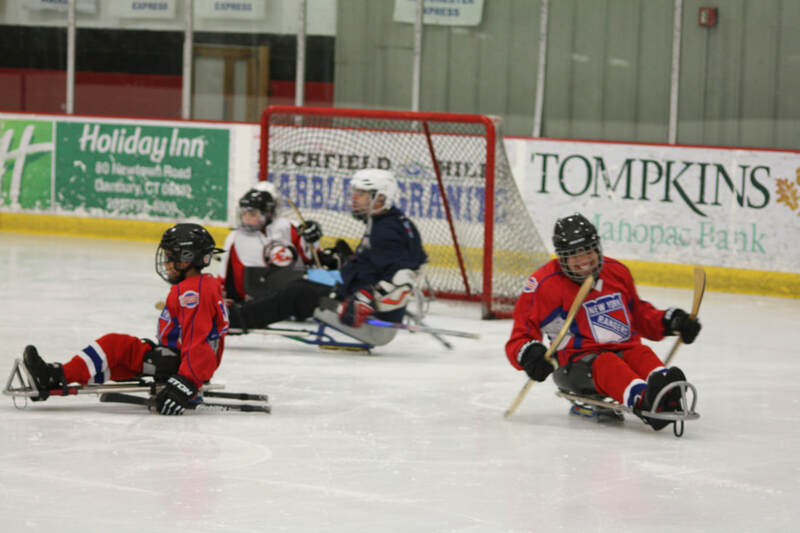 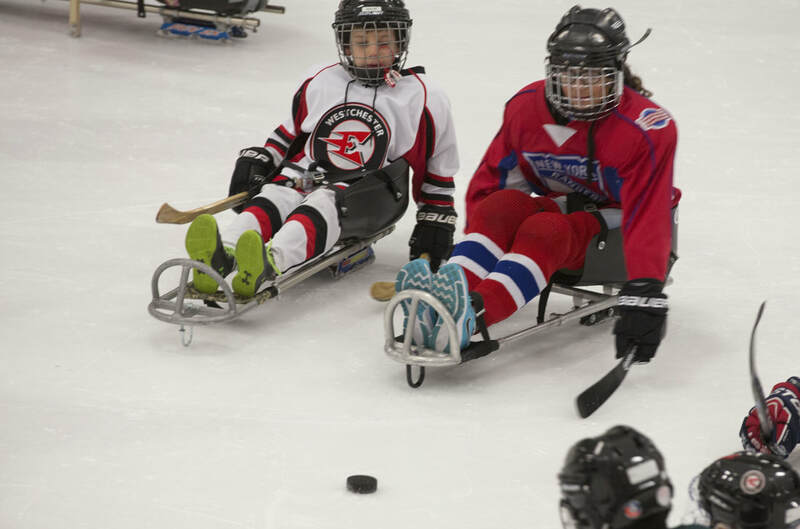 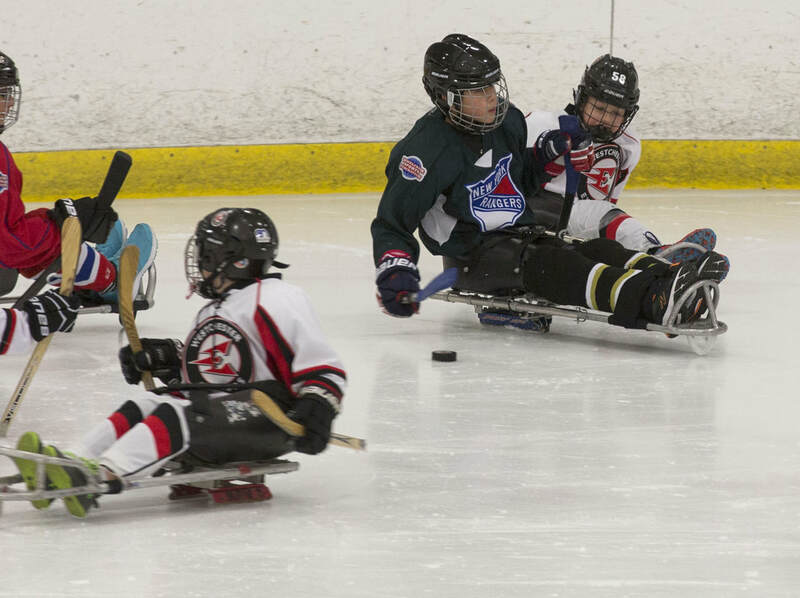 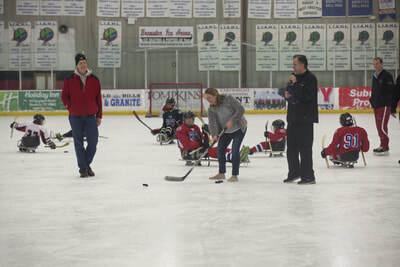 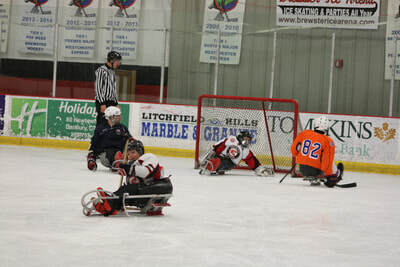 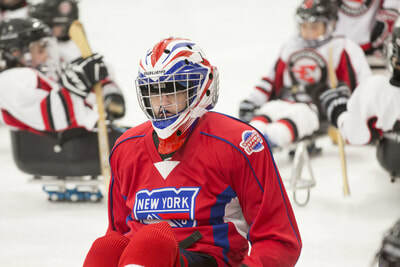 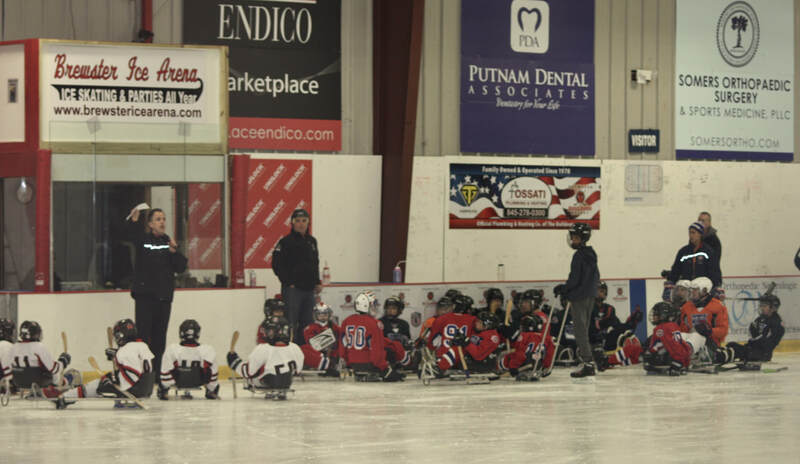 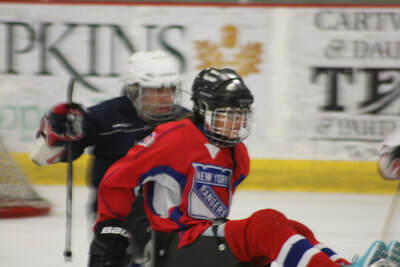 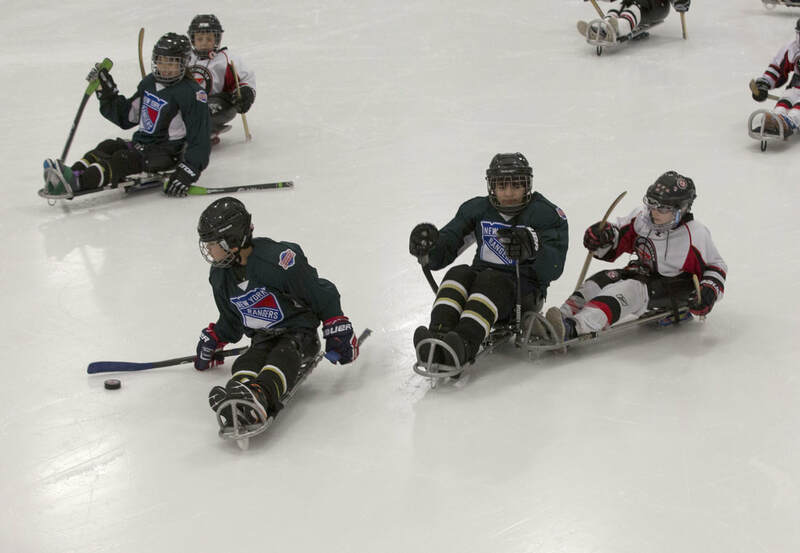 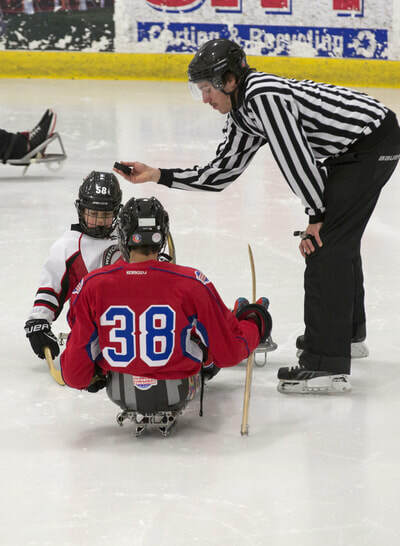 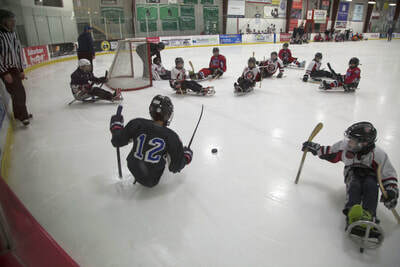 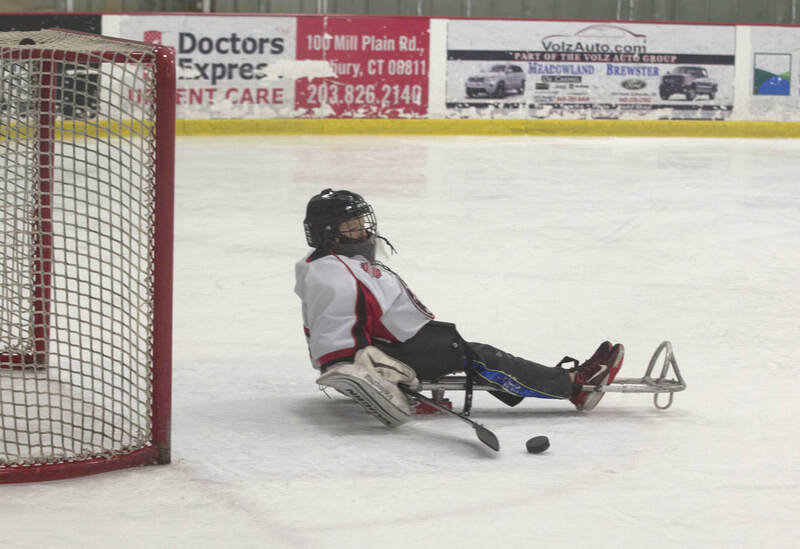 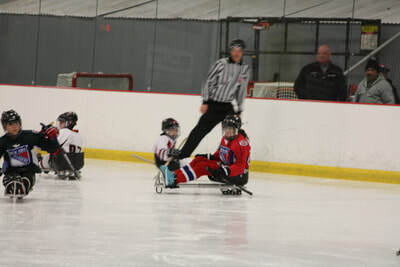 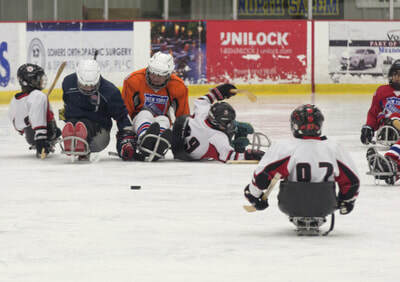 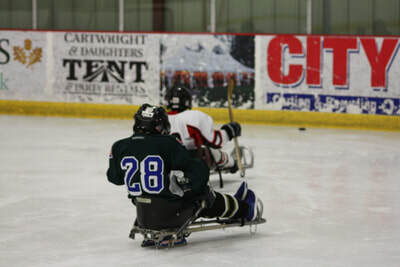 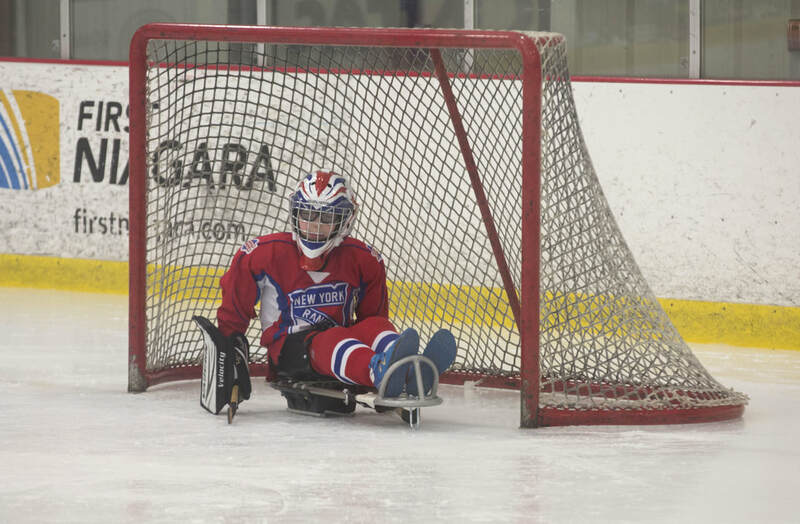 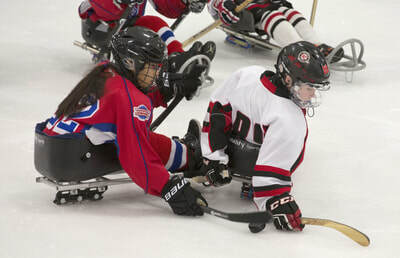 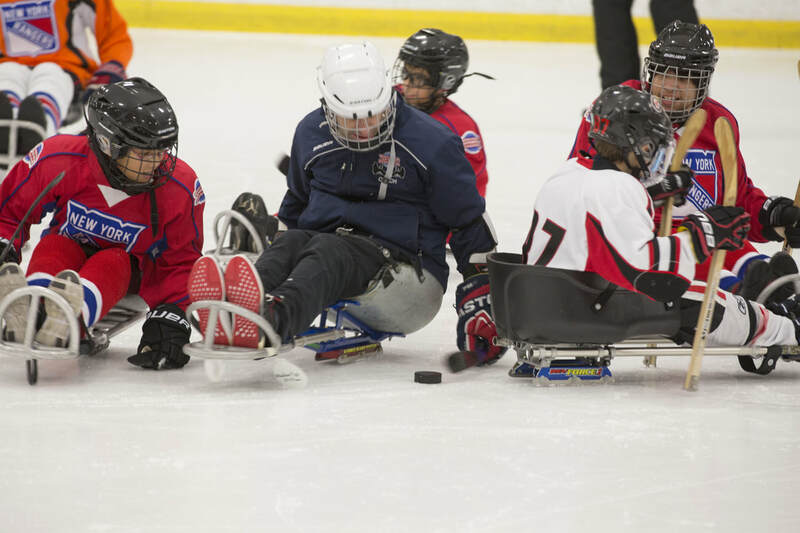 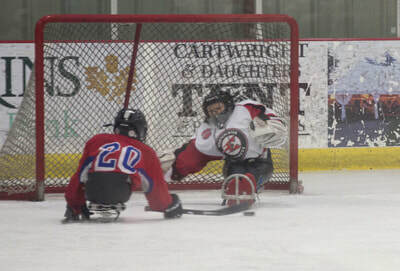 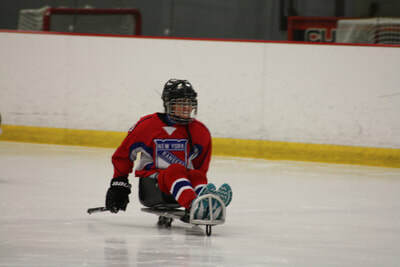 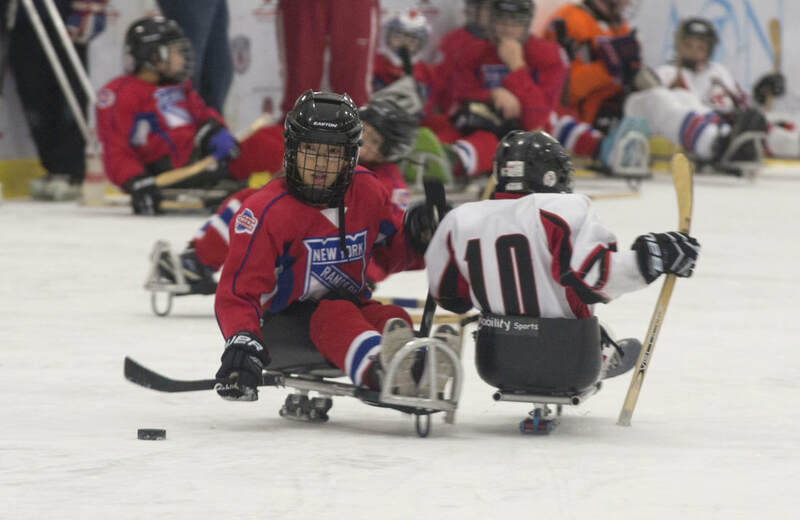 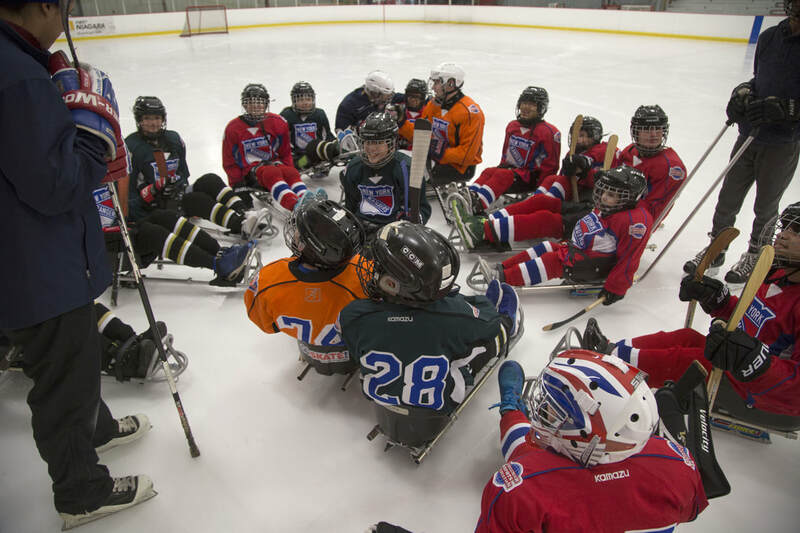 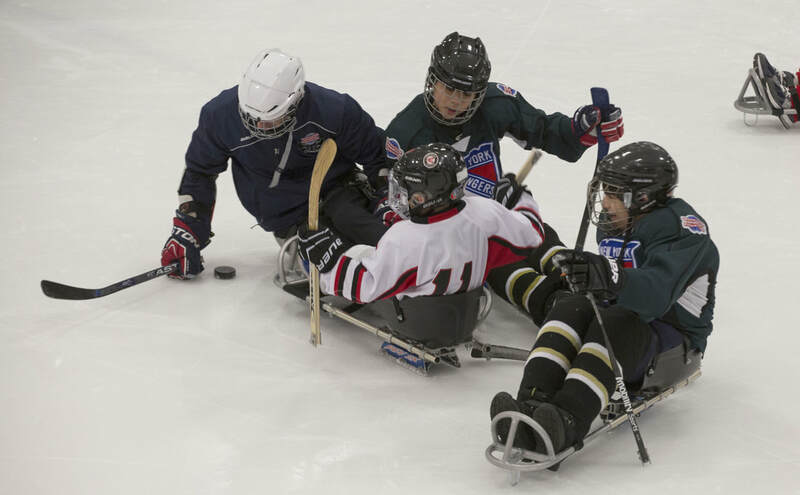 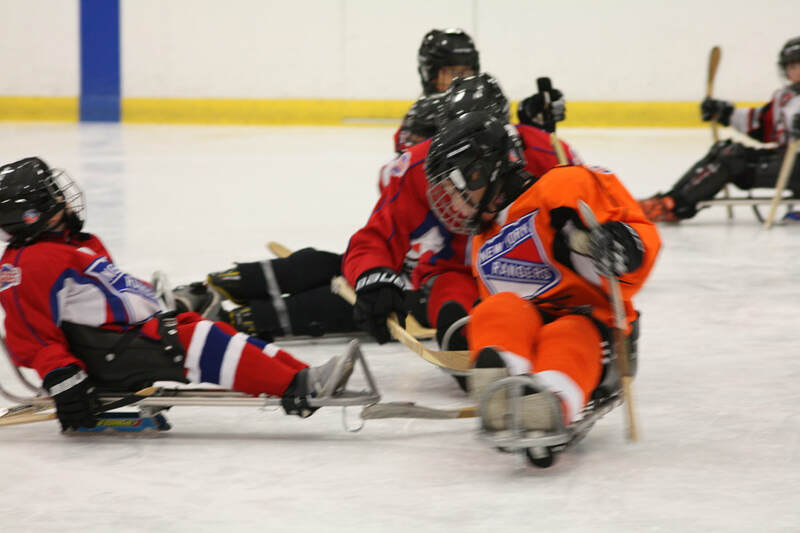 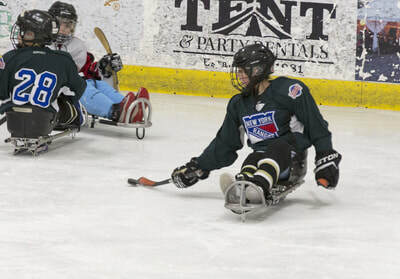 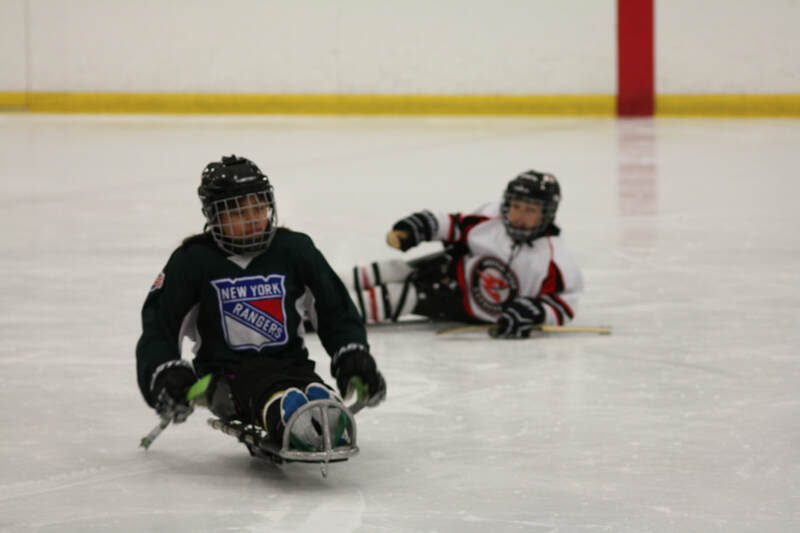 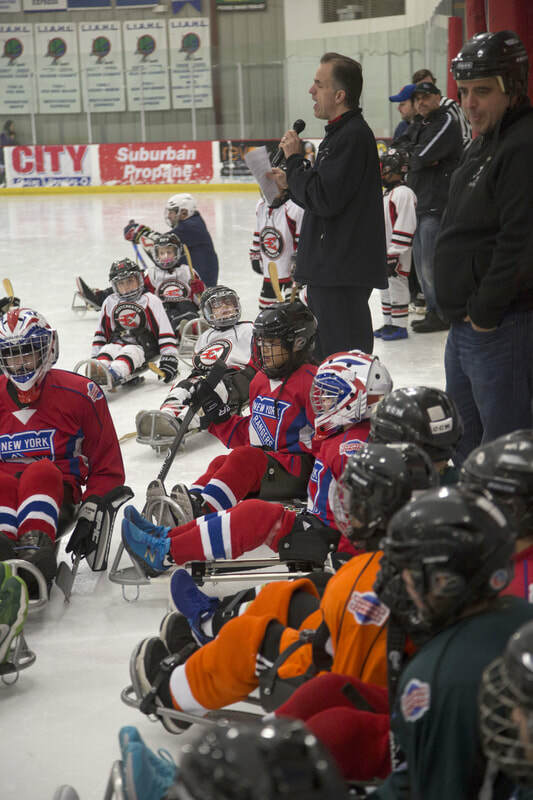 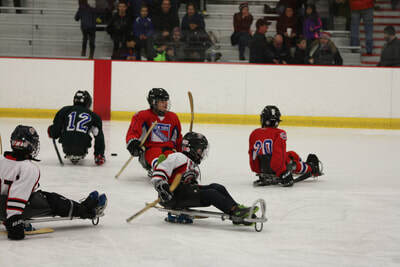 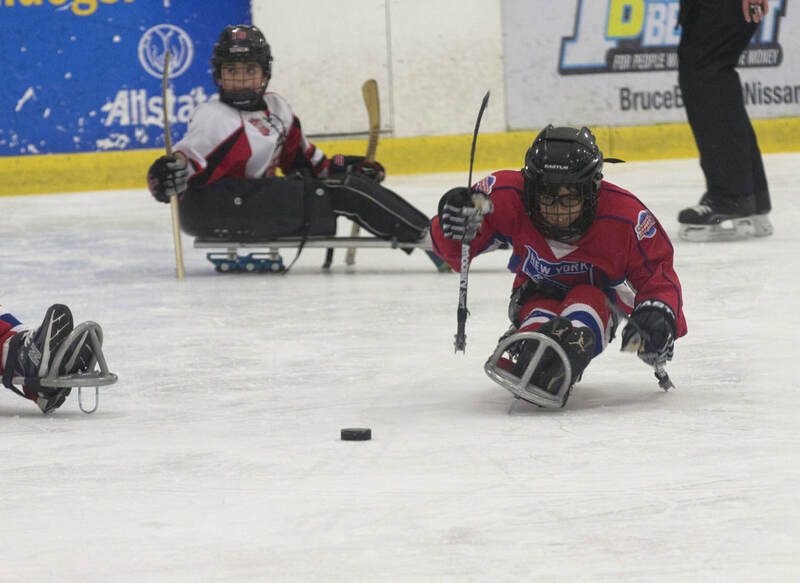 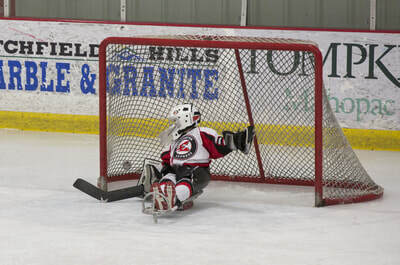 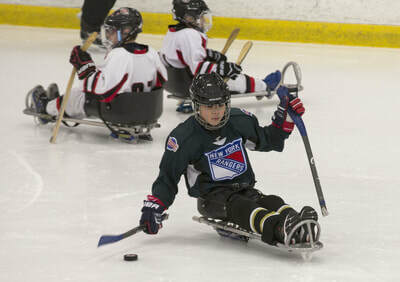 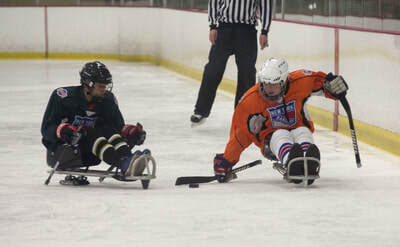 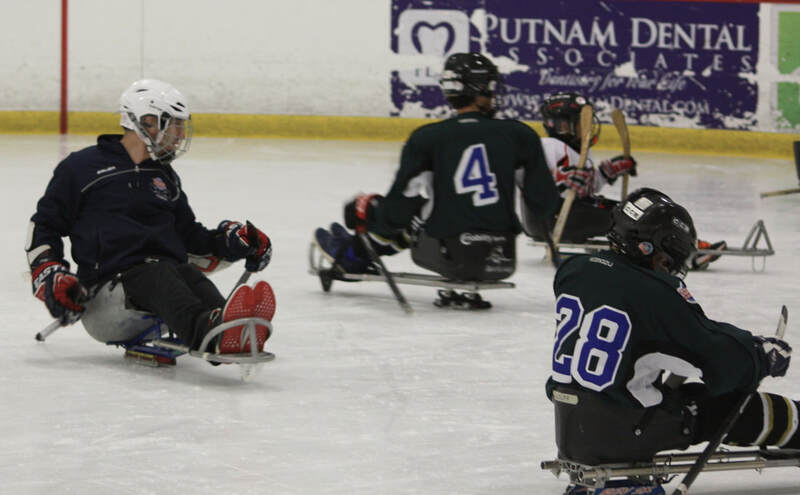 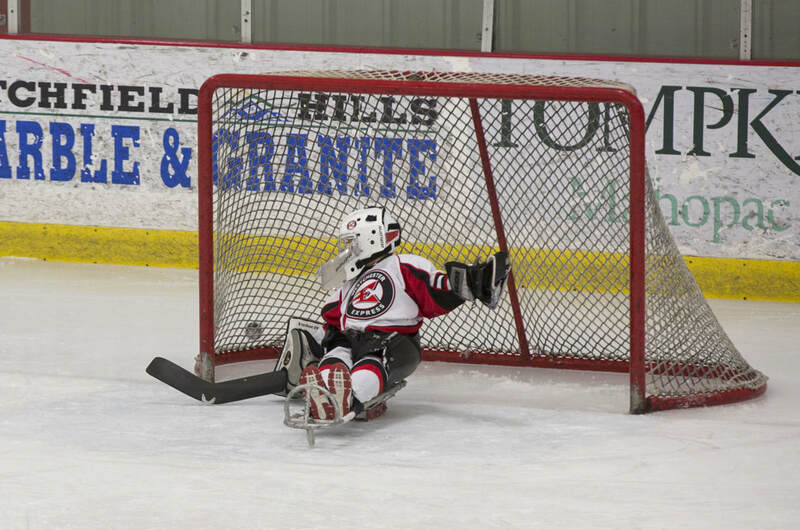 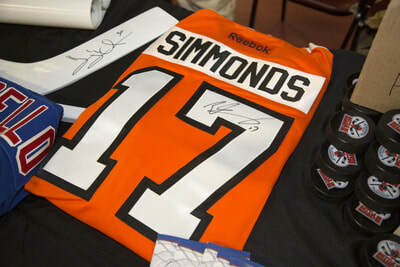 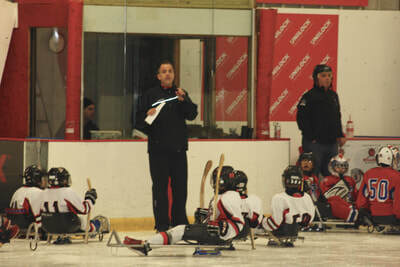 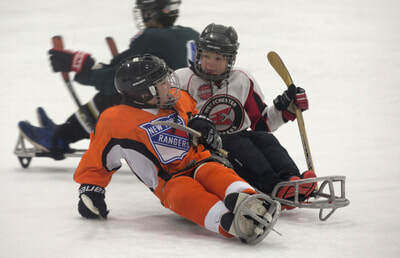 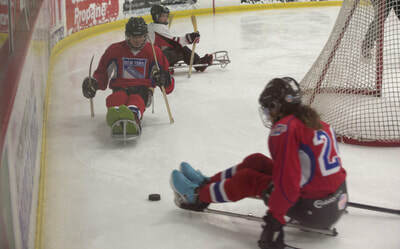 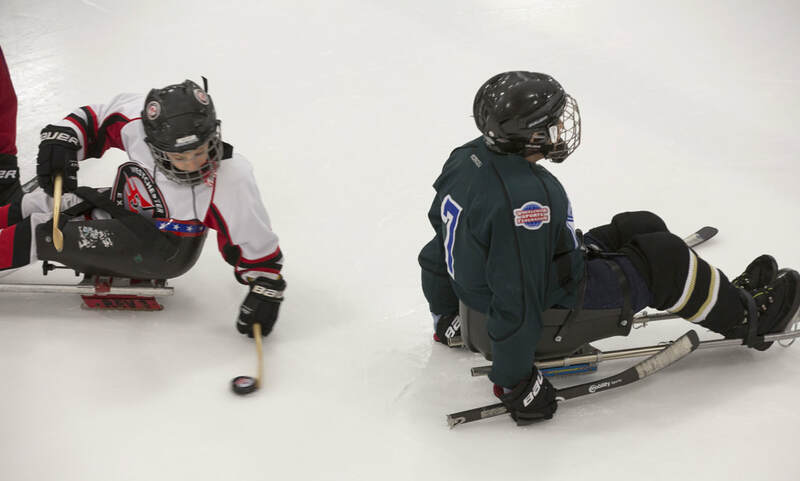 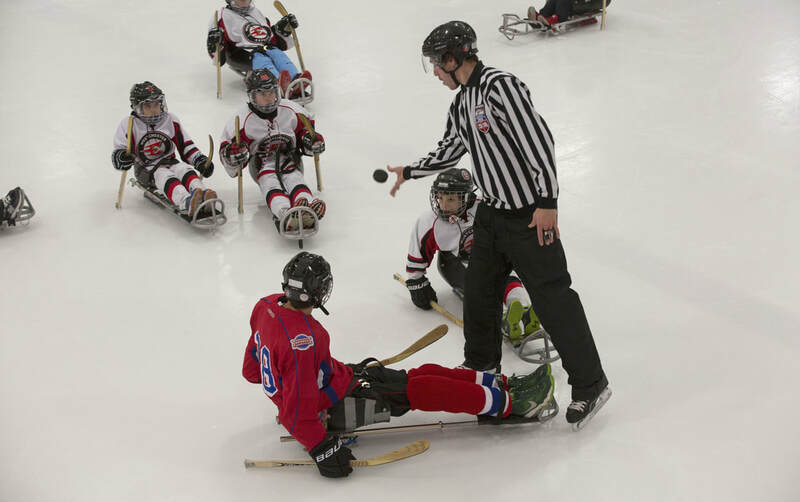 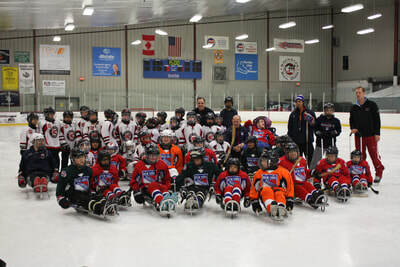 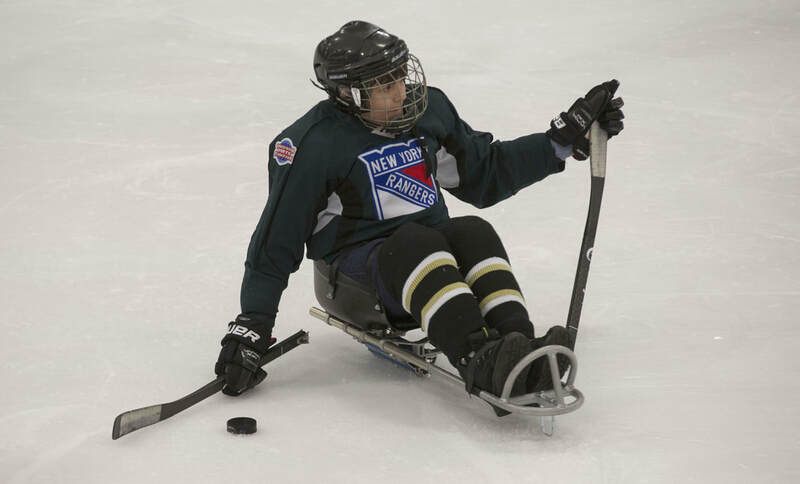 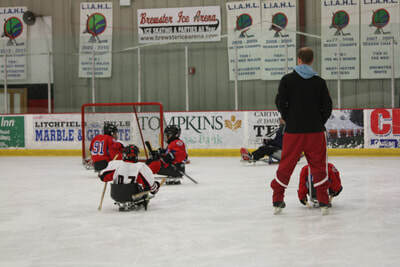 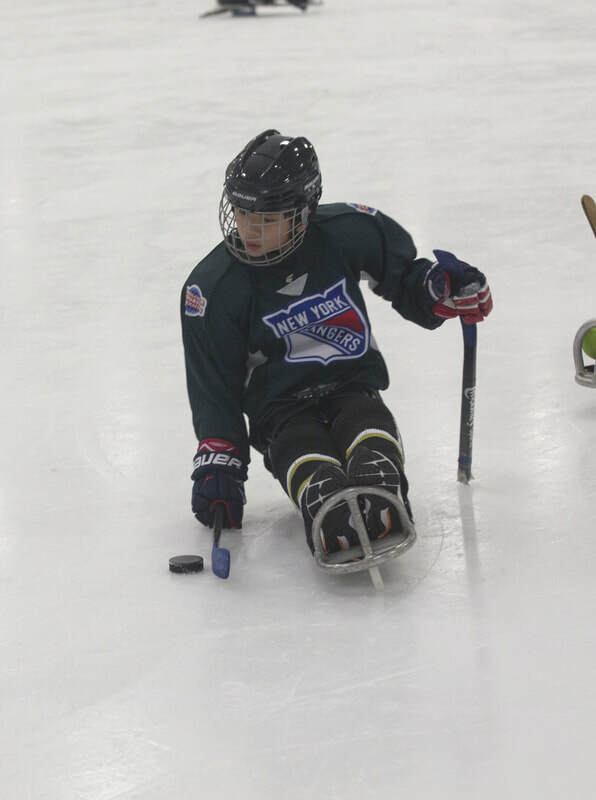 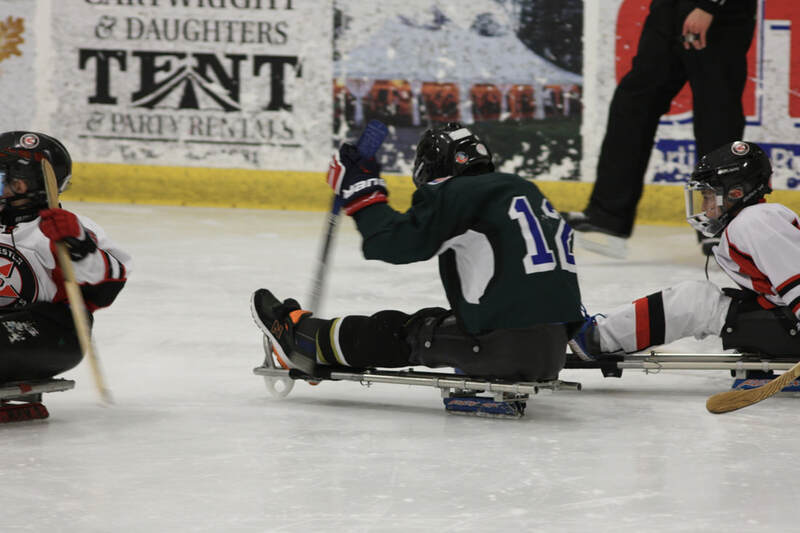 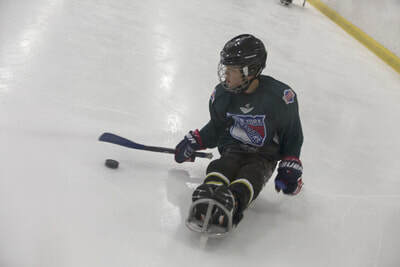 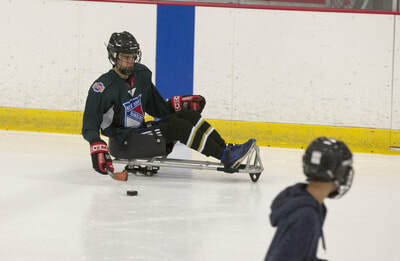 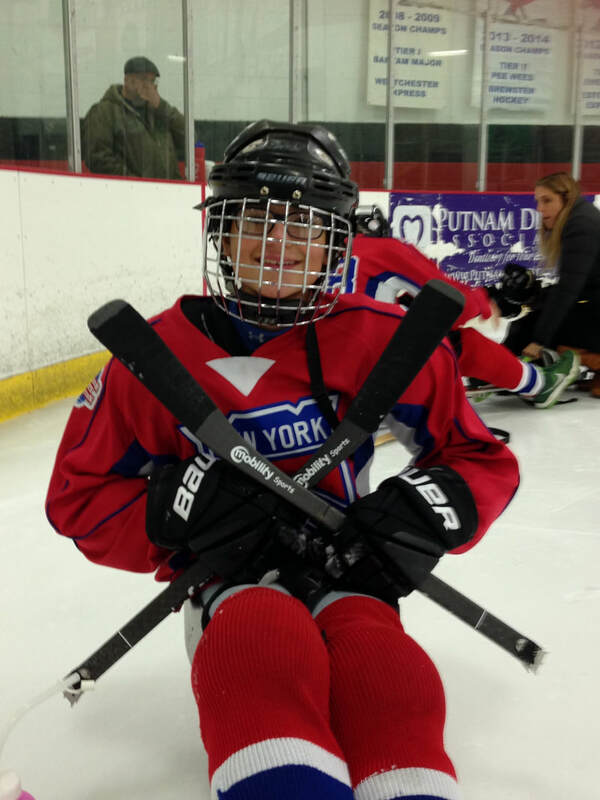 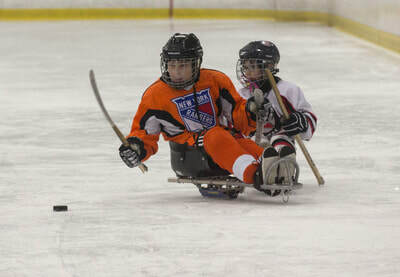 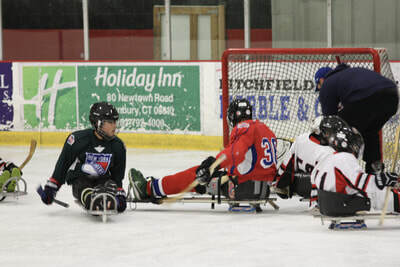 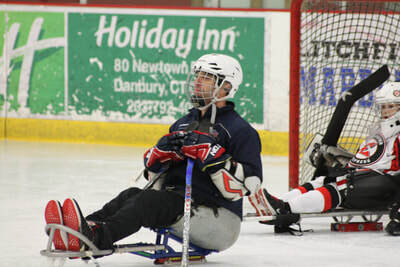 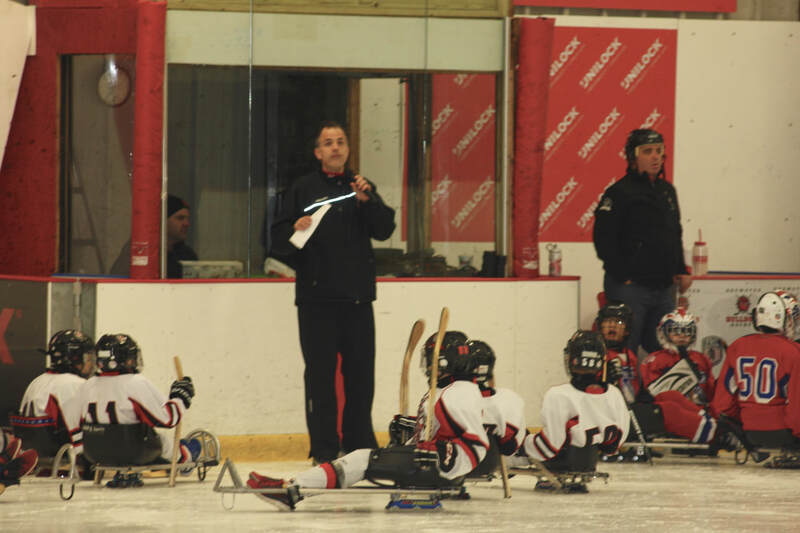 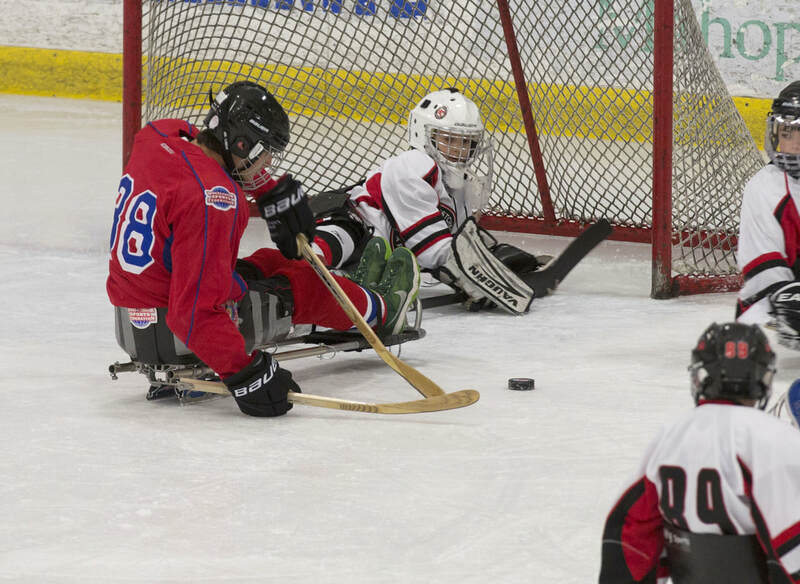 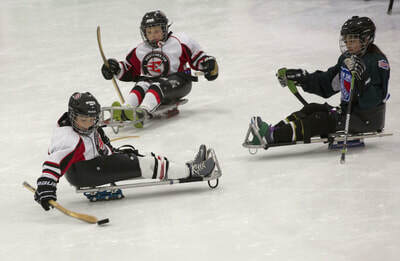 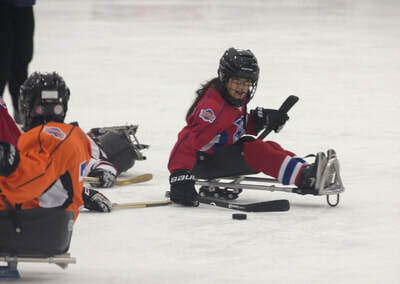 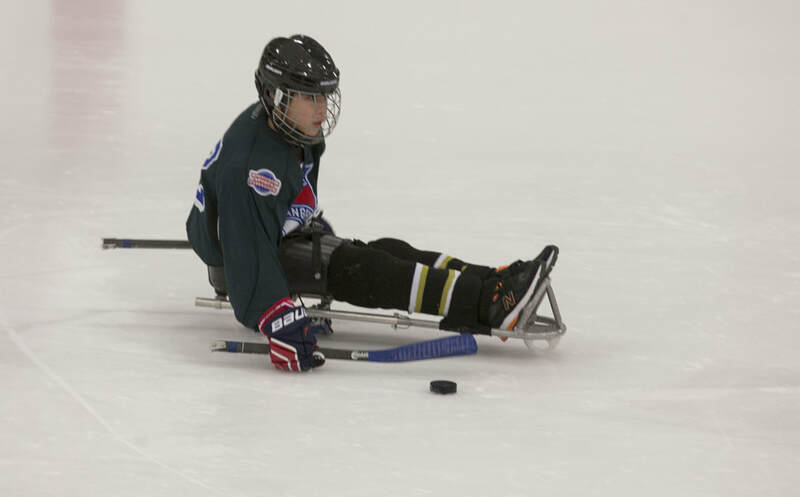 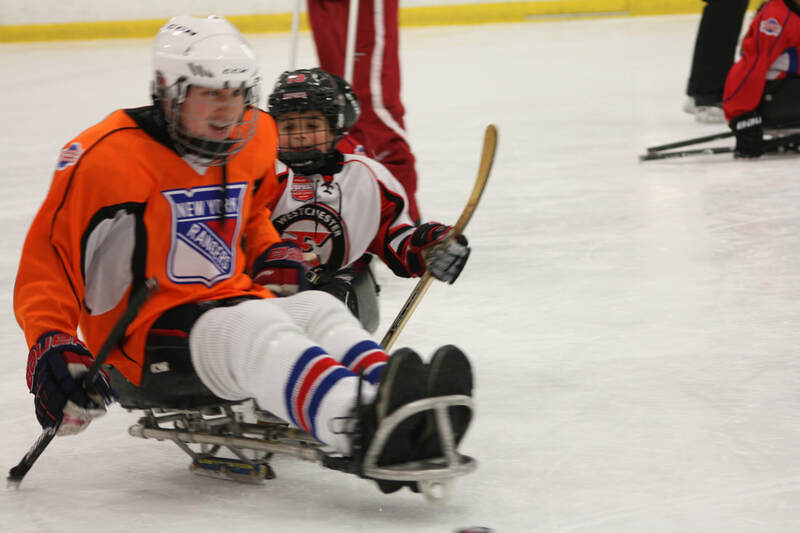 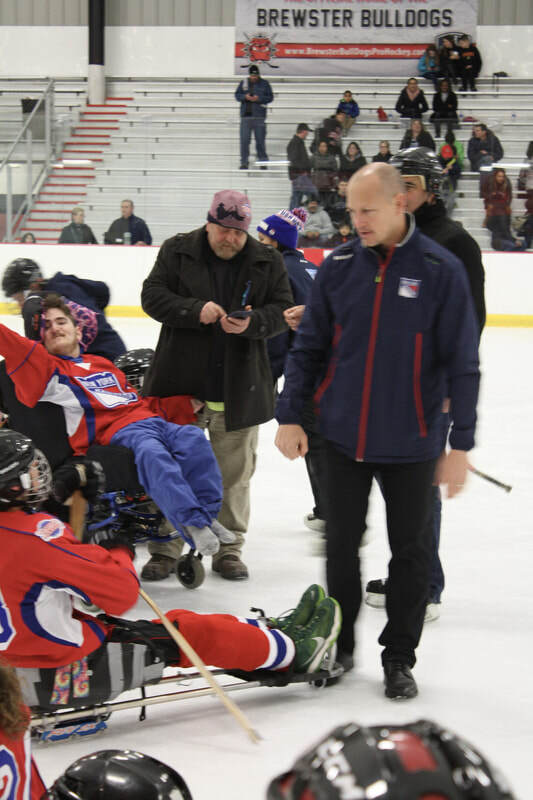 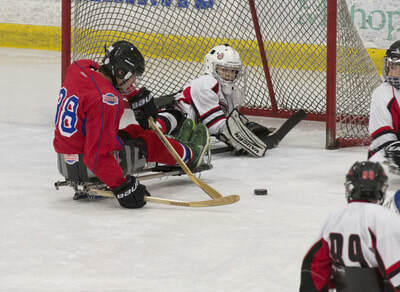 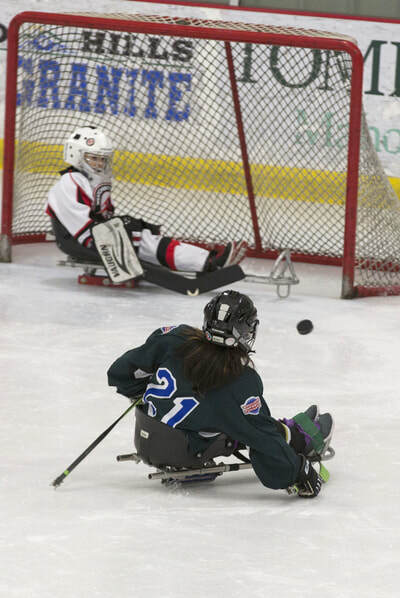 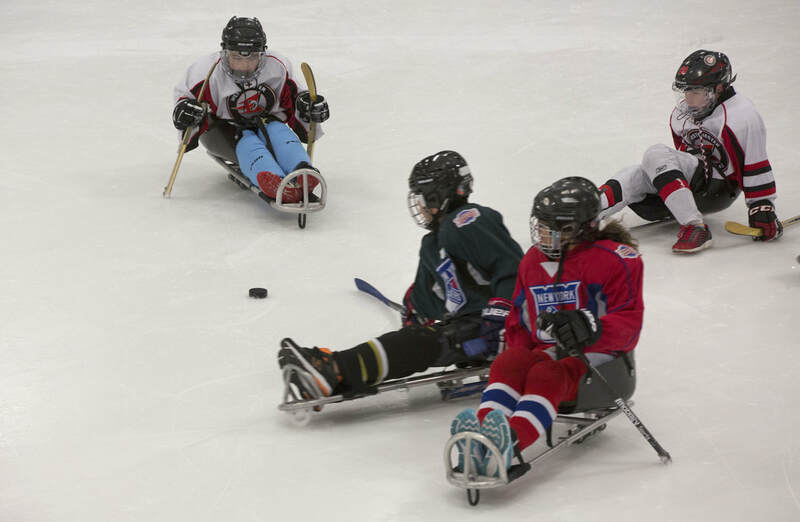 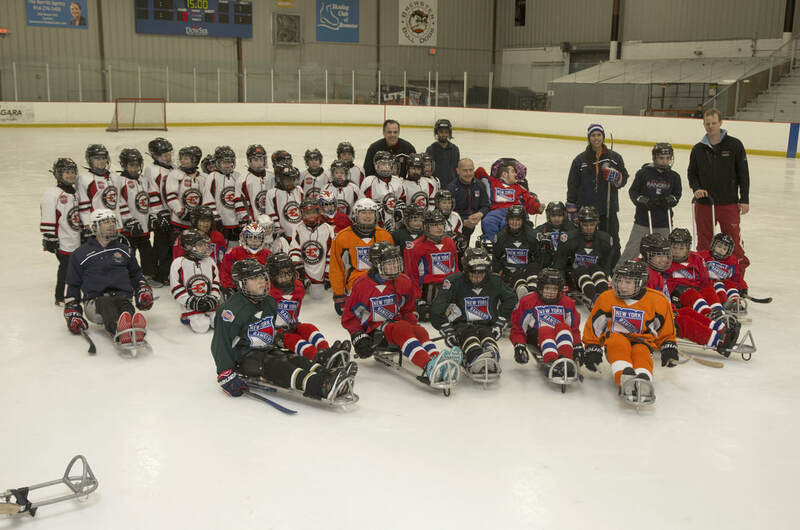 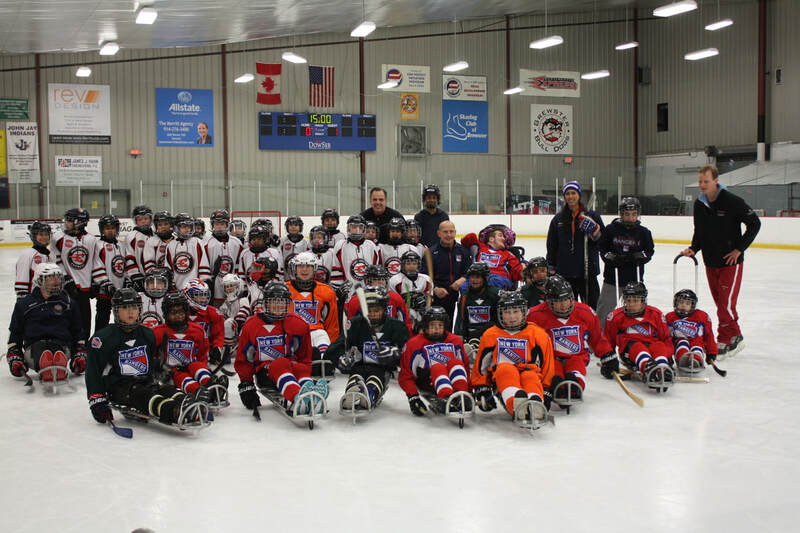 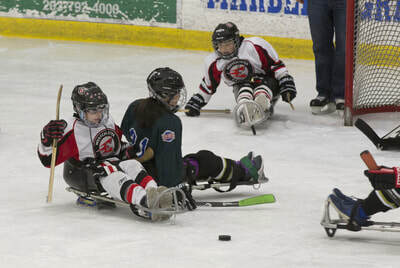 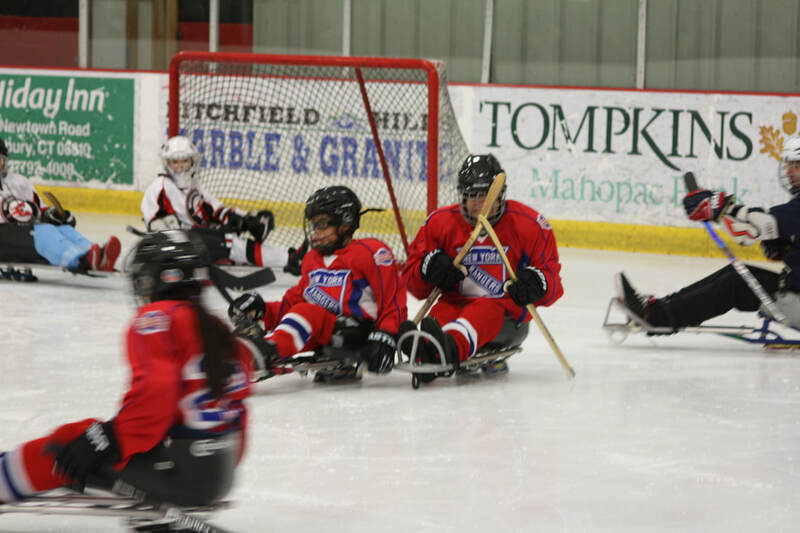 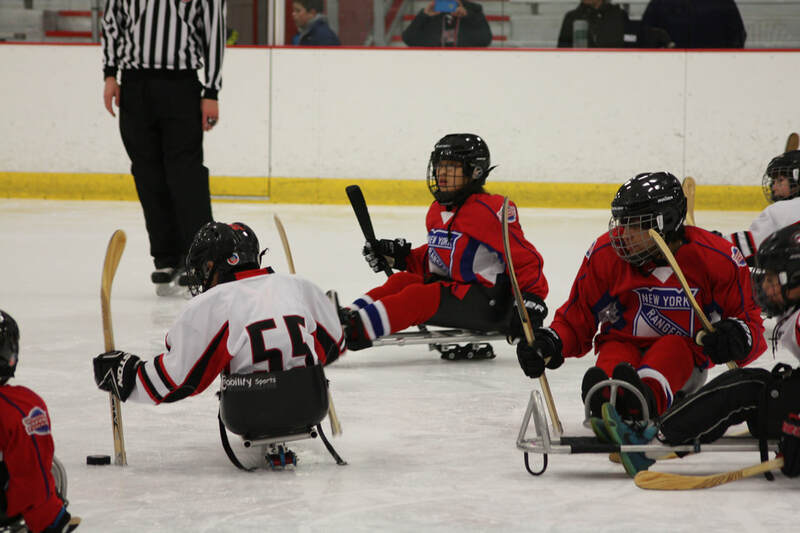 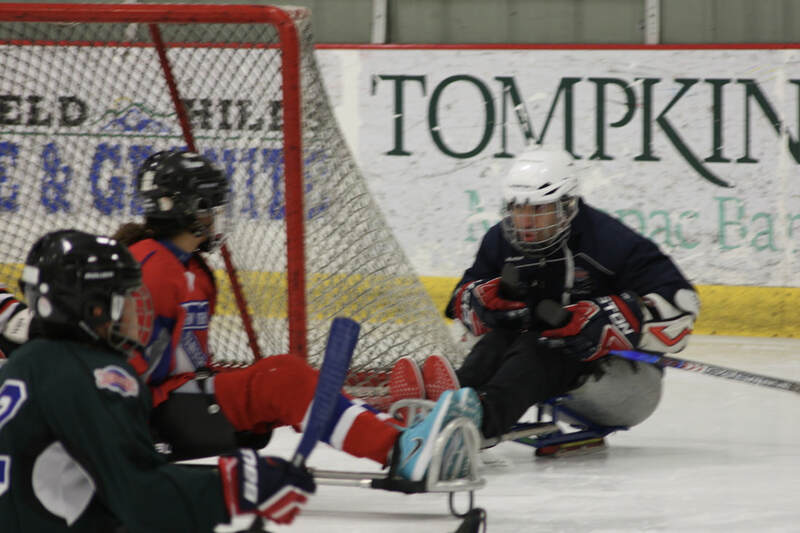 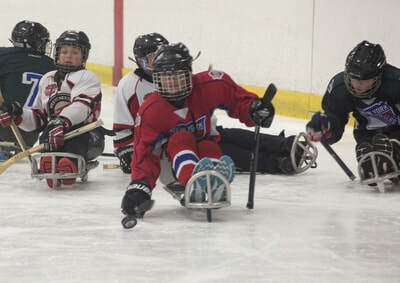 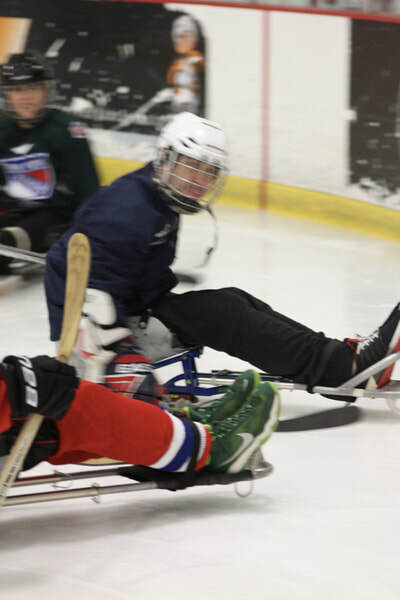 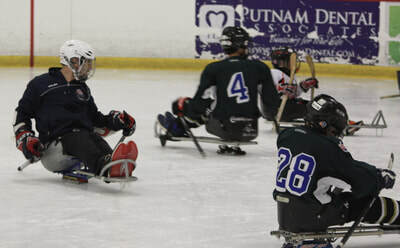 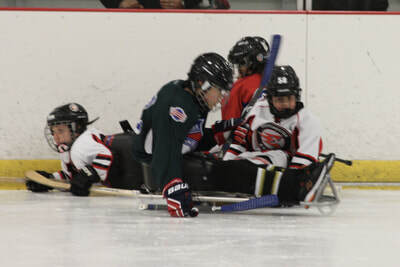 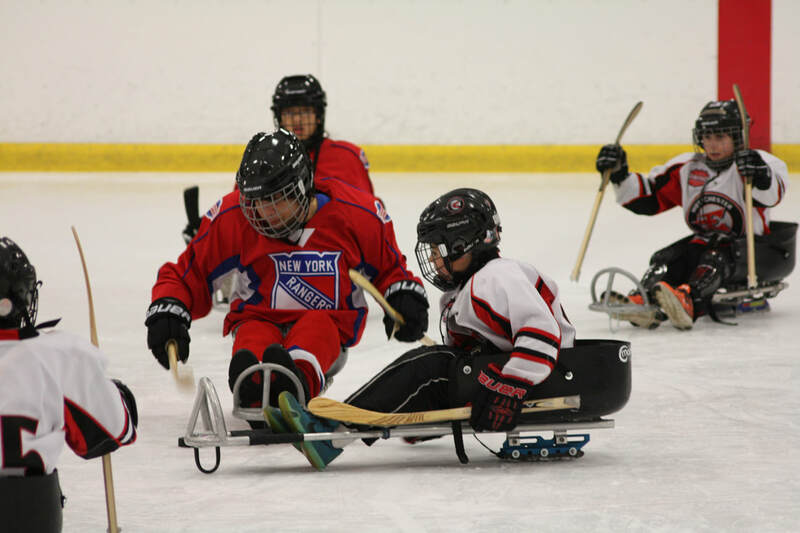 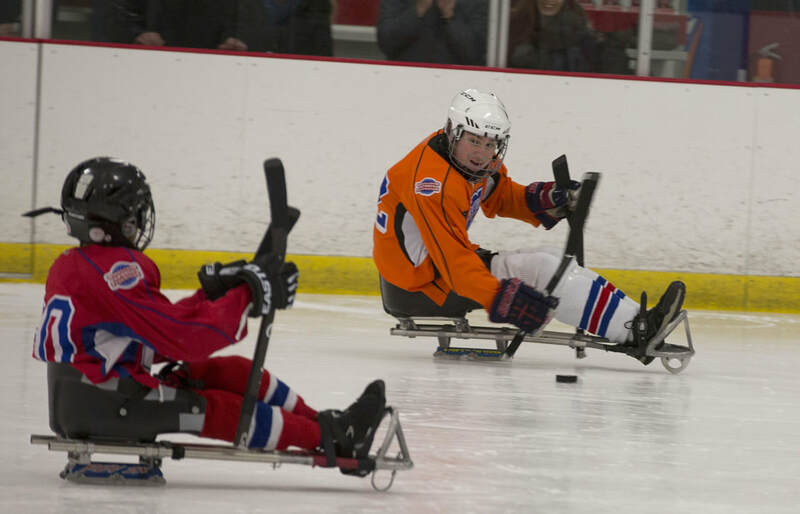 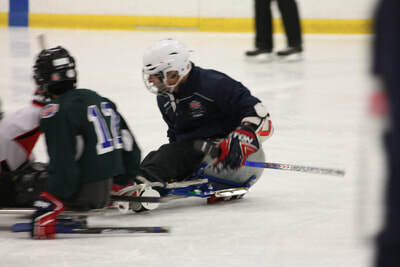 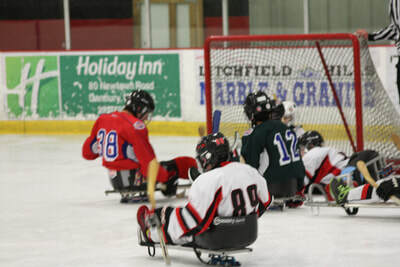 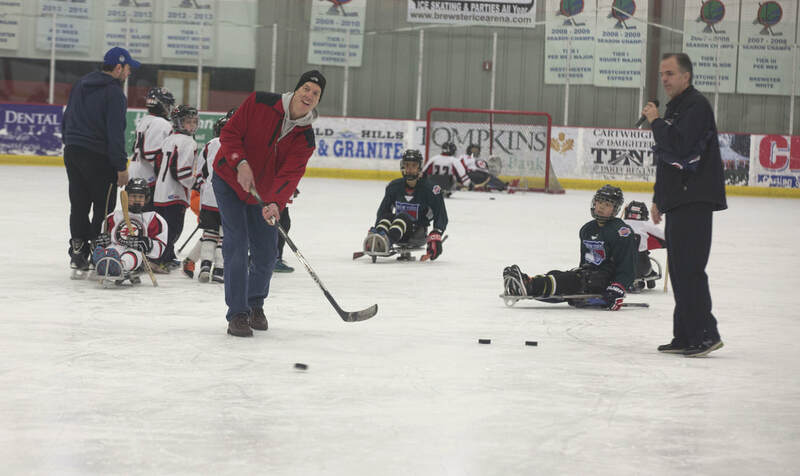 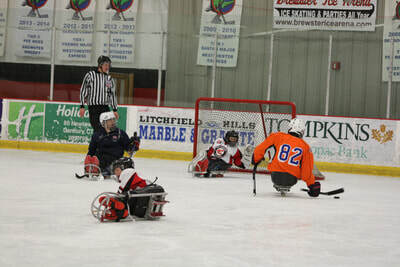 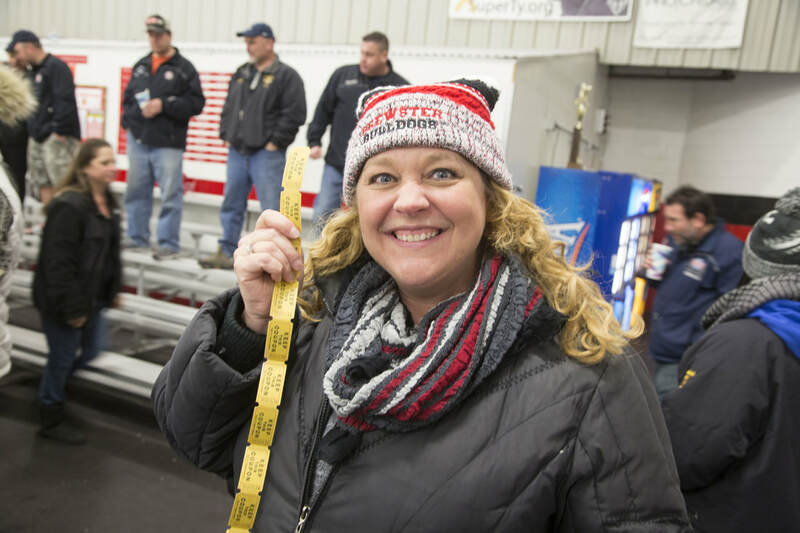 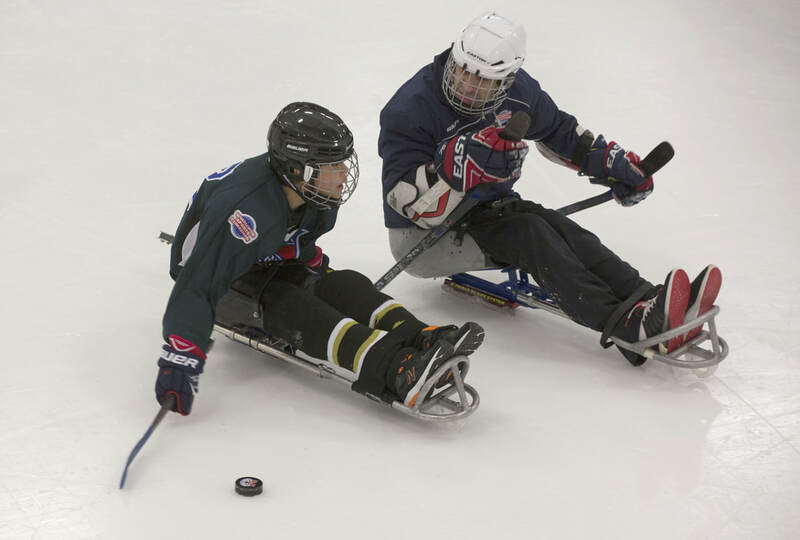 Michael thought it would be great to have both of his sons play on the ice together, and to raise money and awareness for the great sport of sled hockey. 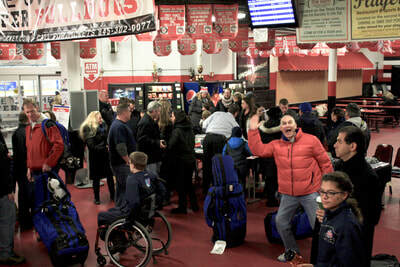 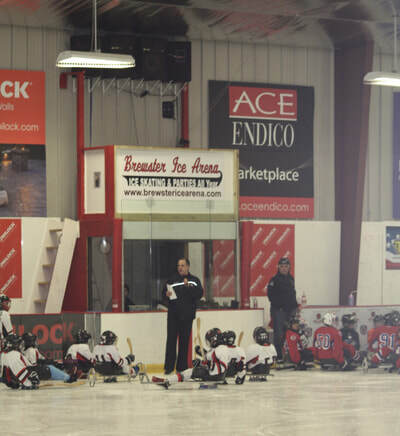 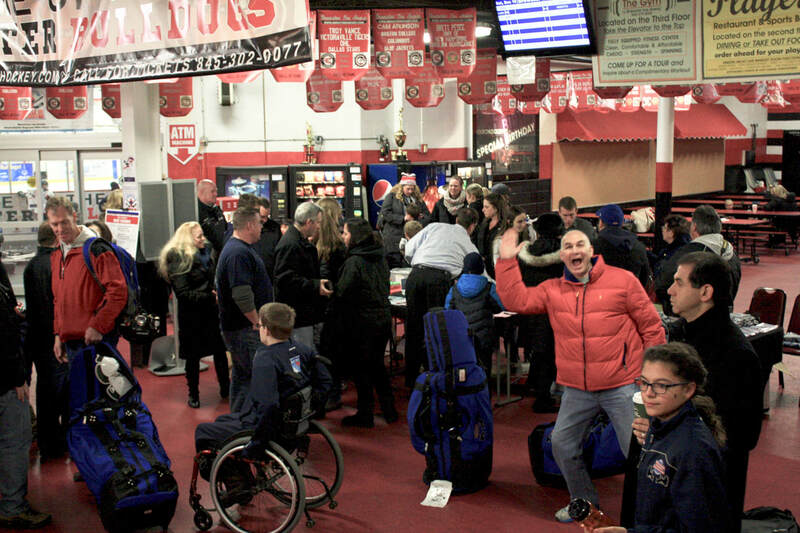 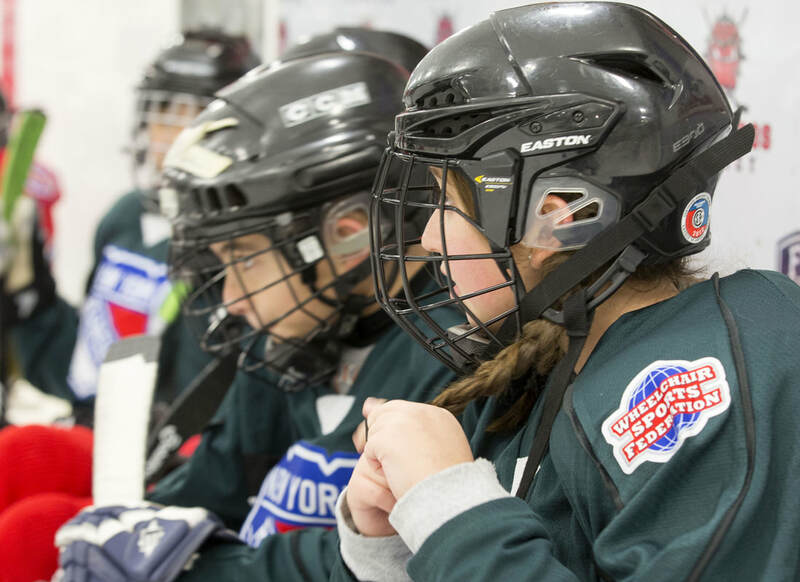 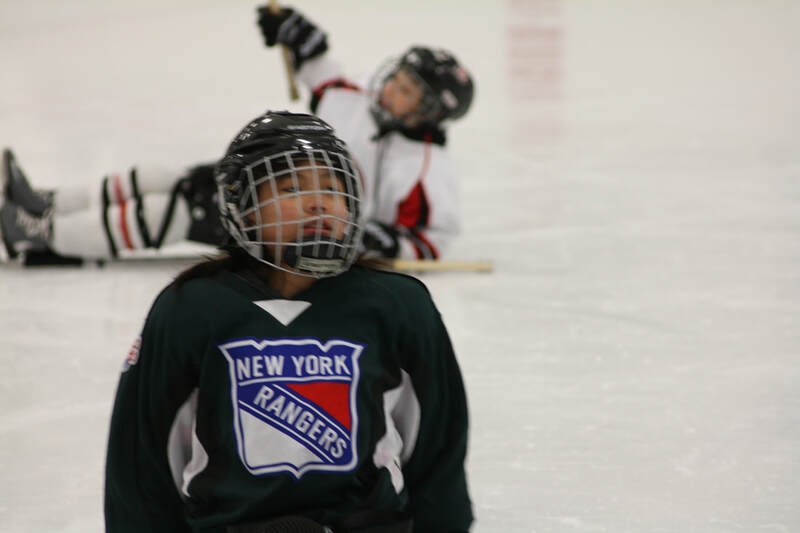 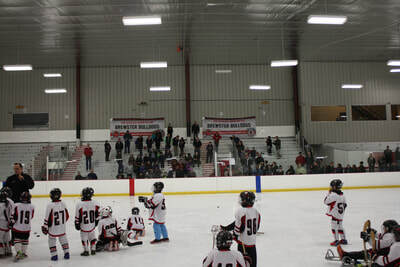 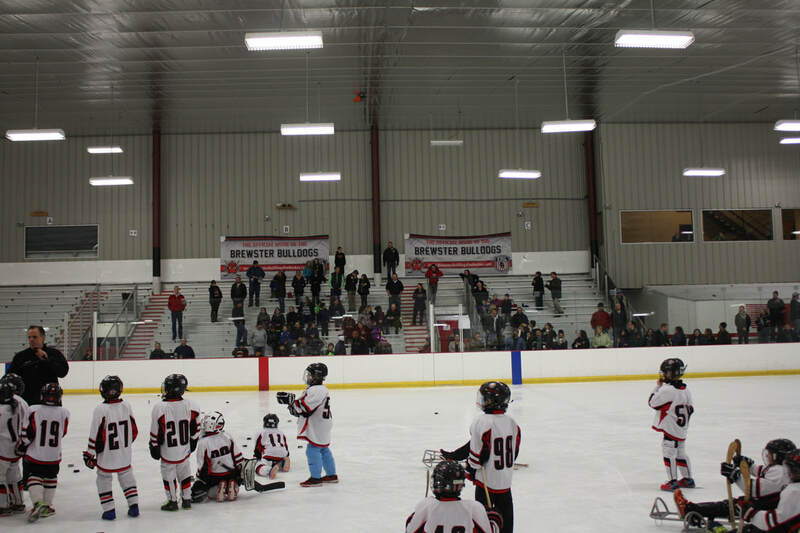 About 200 people showed up to watch the Mites take on the Sled Rangers in a 3-period exhibition game. 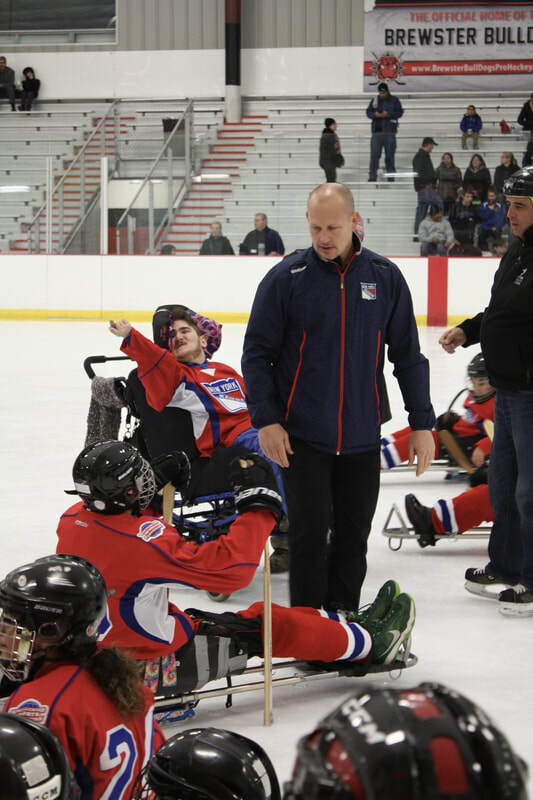 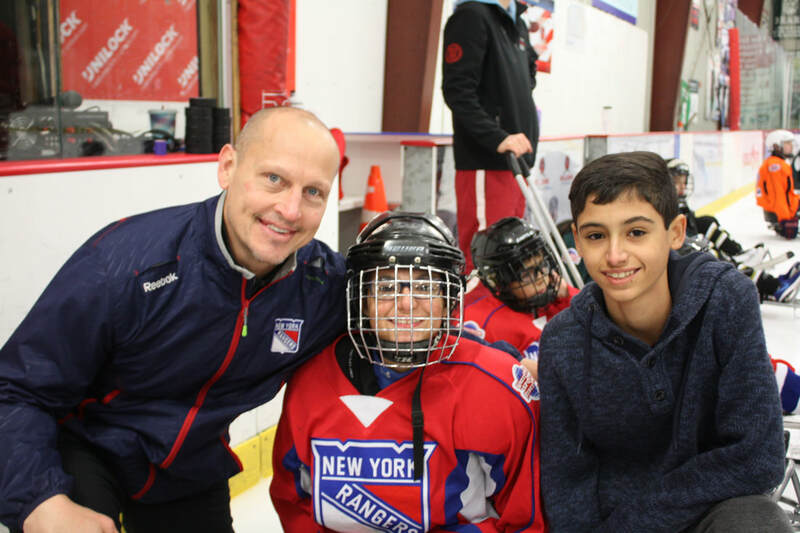 Special guest Eve Soto came to sing the national anthem, and Adam Graves was also there to drop the puck and to encourage the kids. 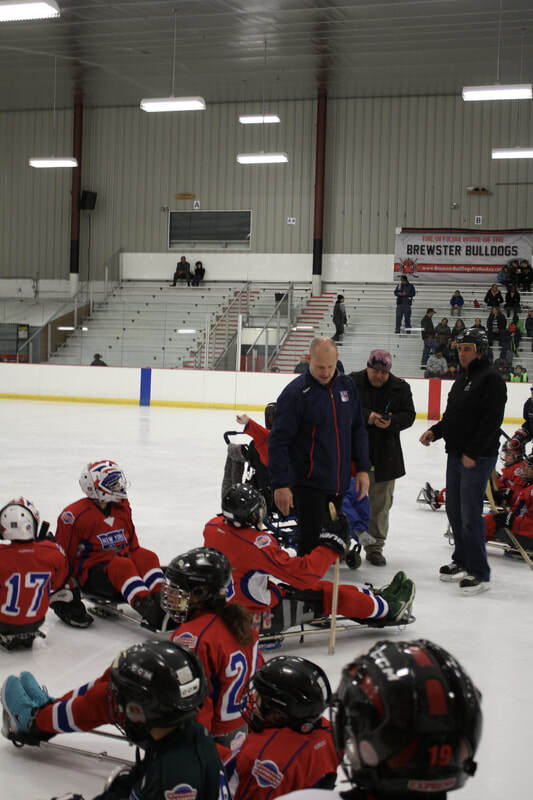 This was the dubbed the “first annual”, and we are planning to have another ‘Battle In Brewster” in March of 2018, so if you live up that way, and would like to come out and support the Sled Rangers again, we would love to see you.